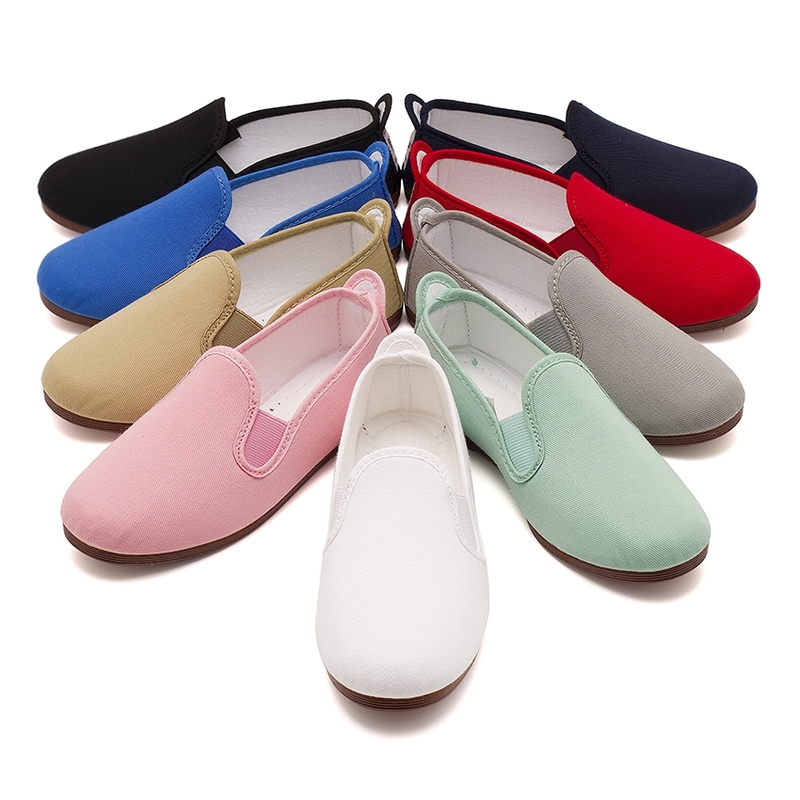 Classic all-times summer trainers, with double elastic and really comfortable. 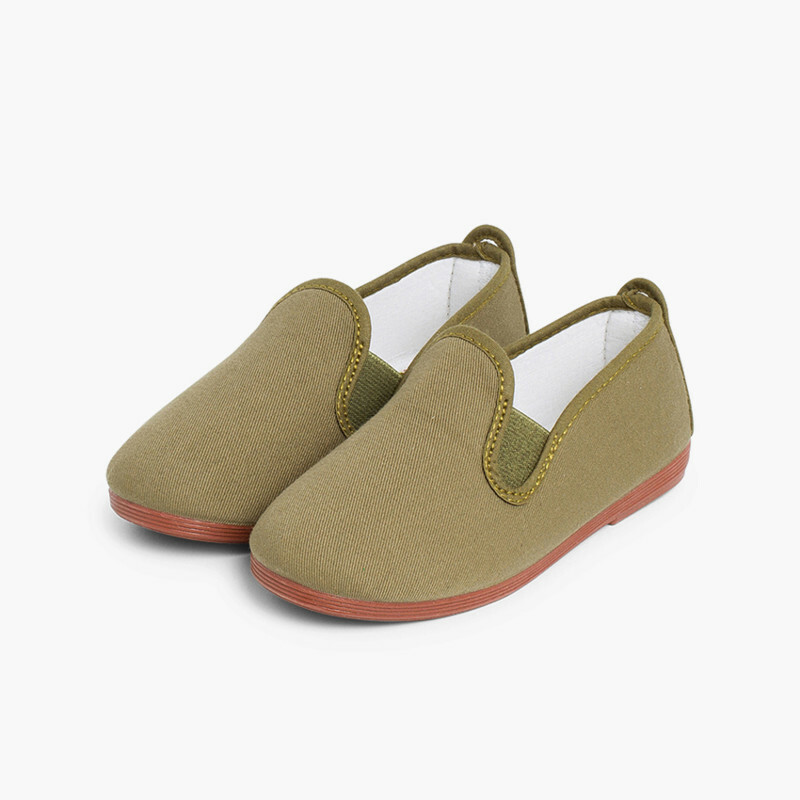 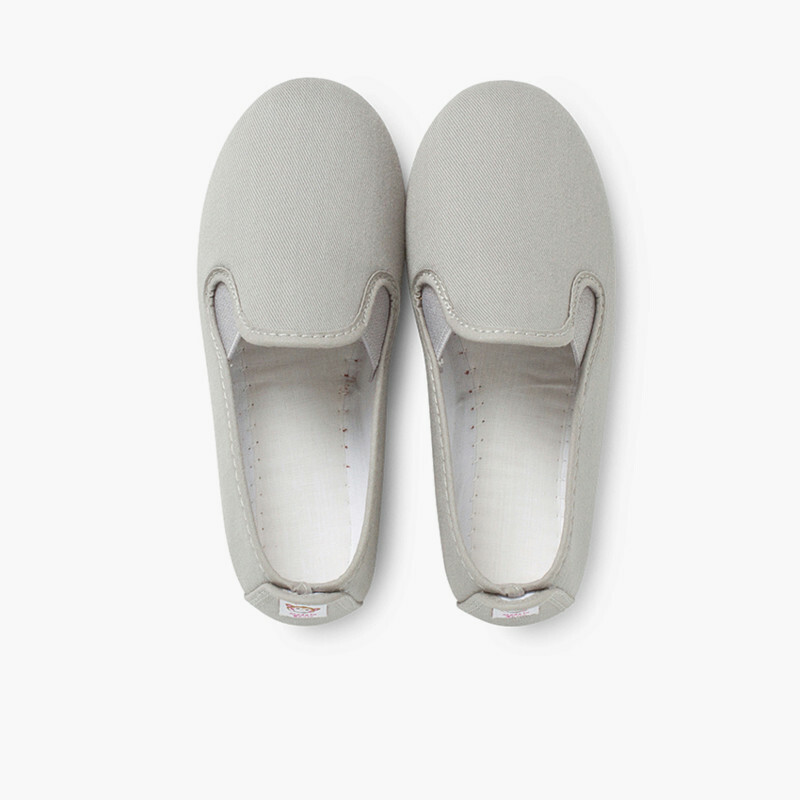 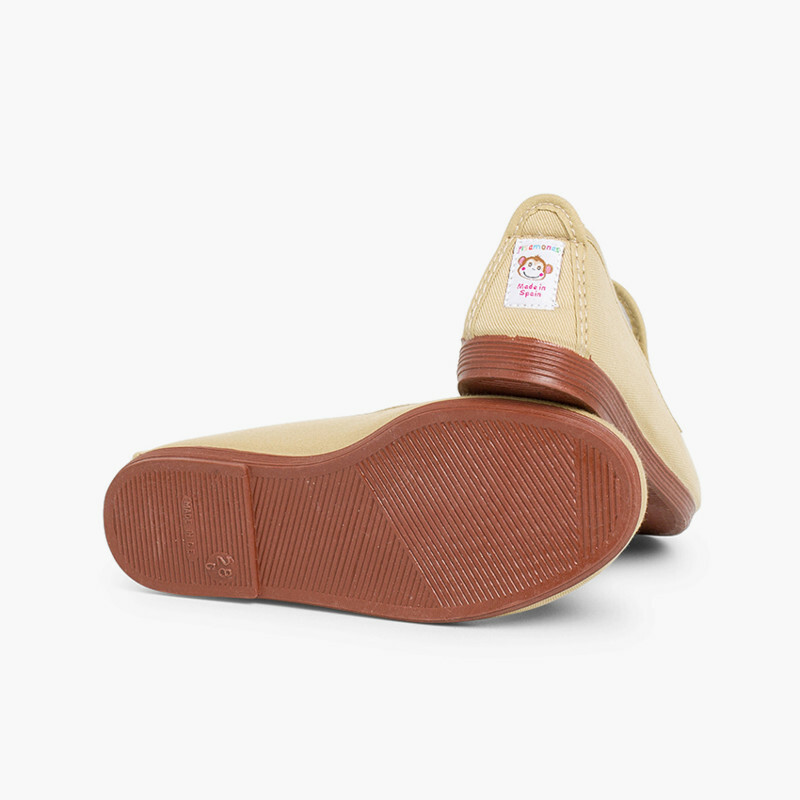 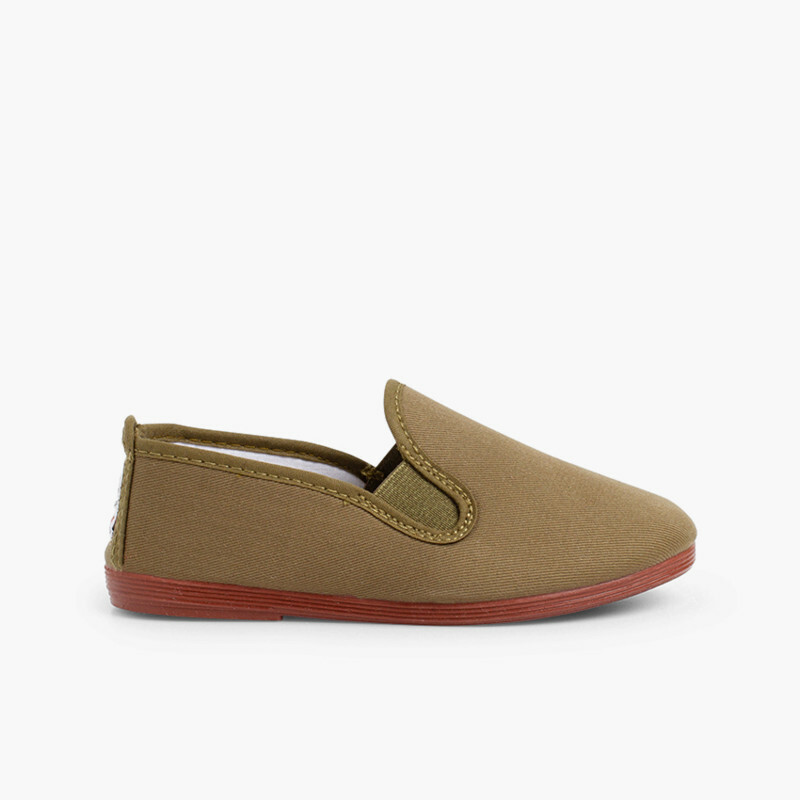 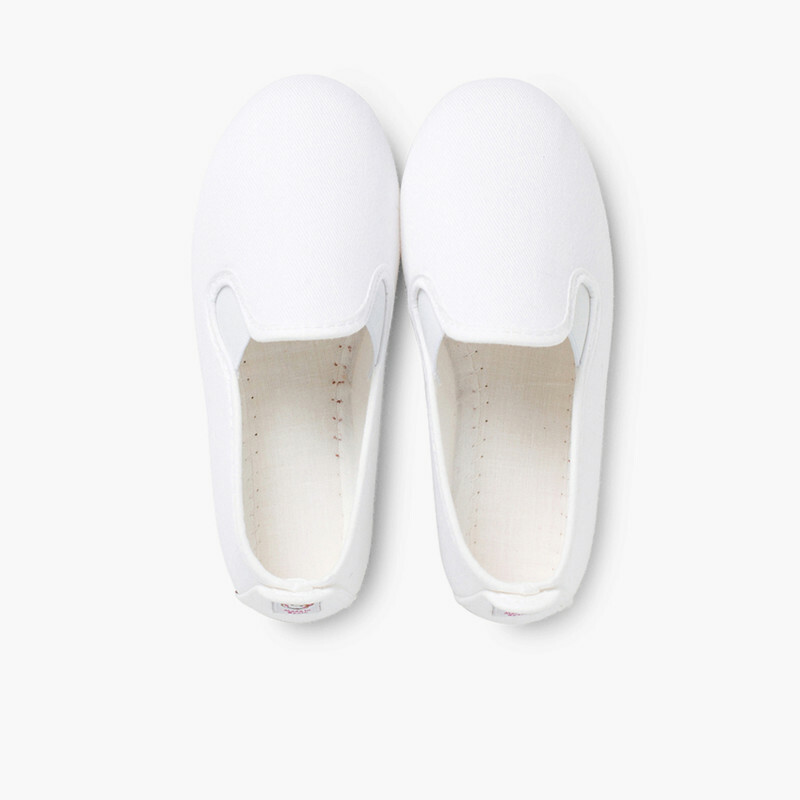 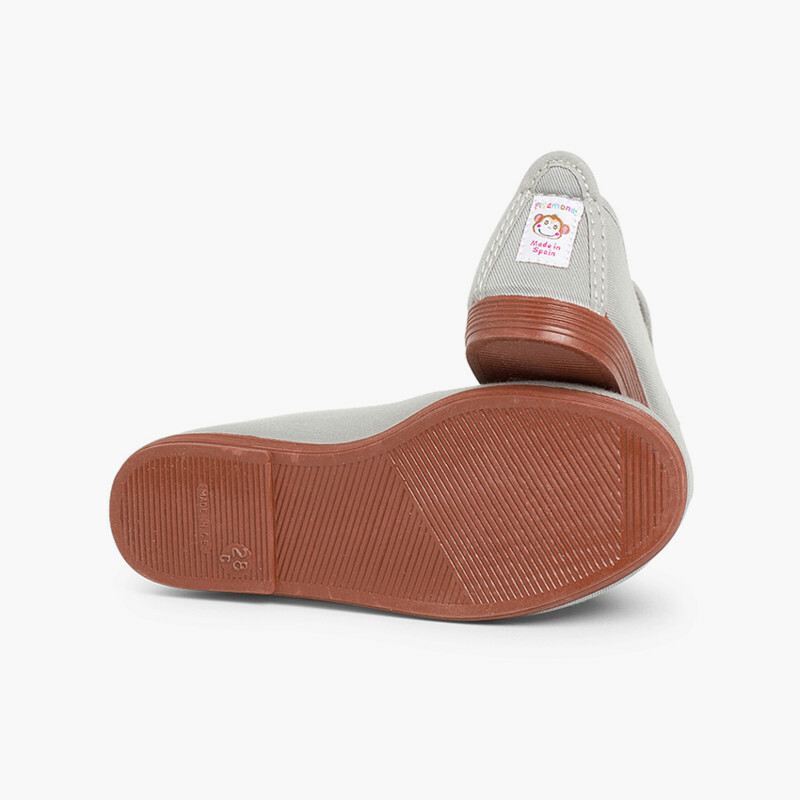 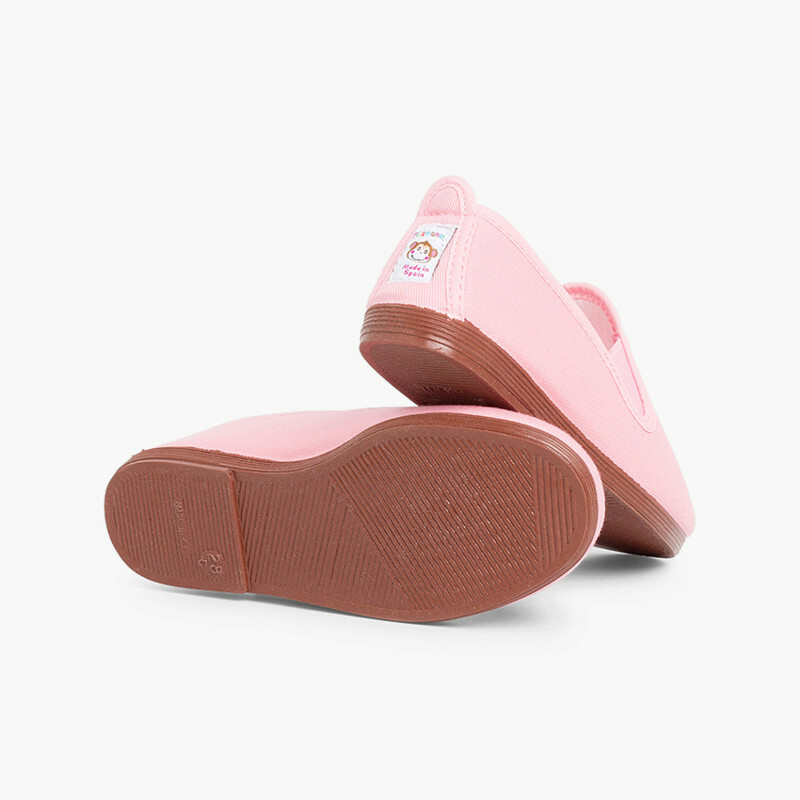 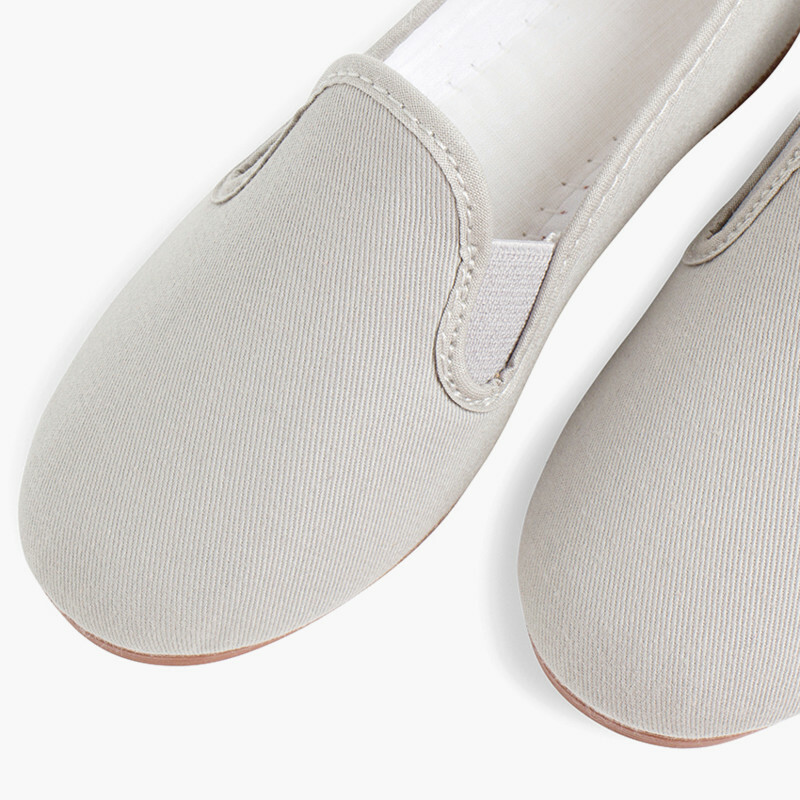 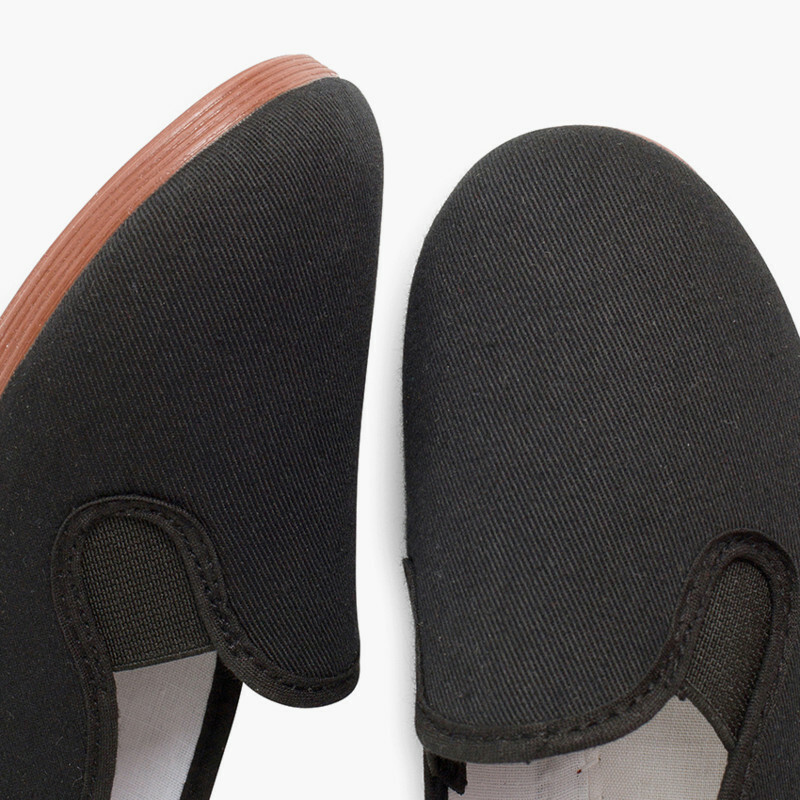 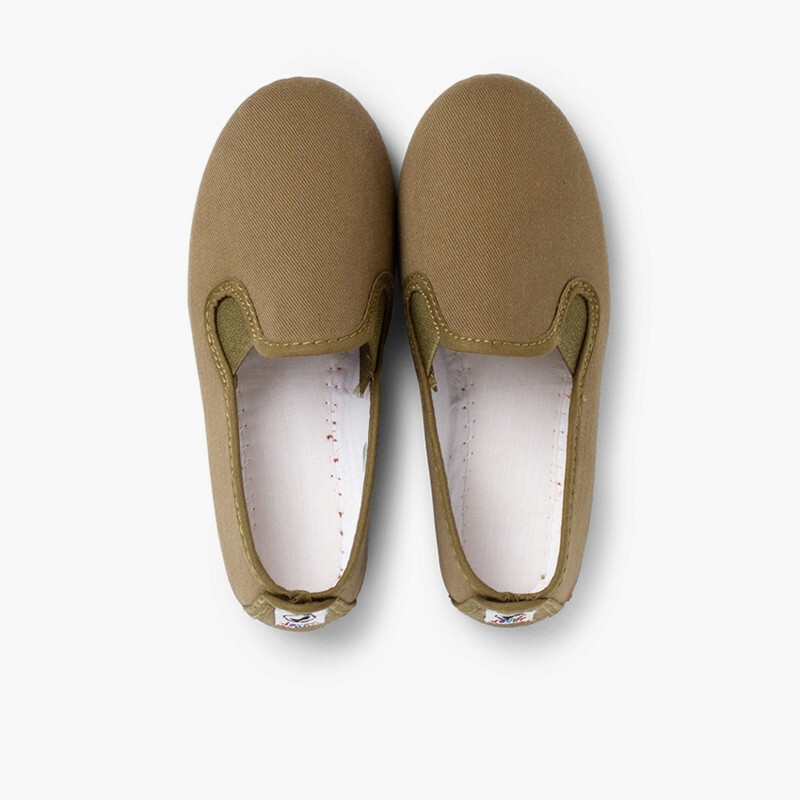 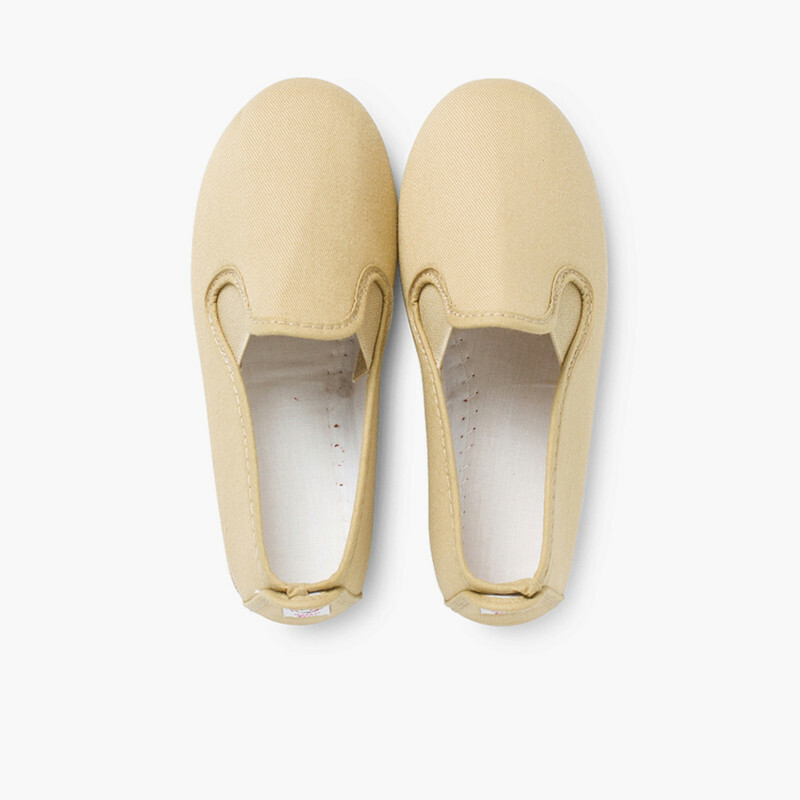 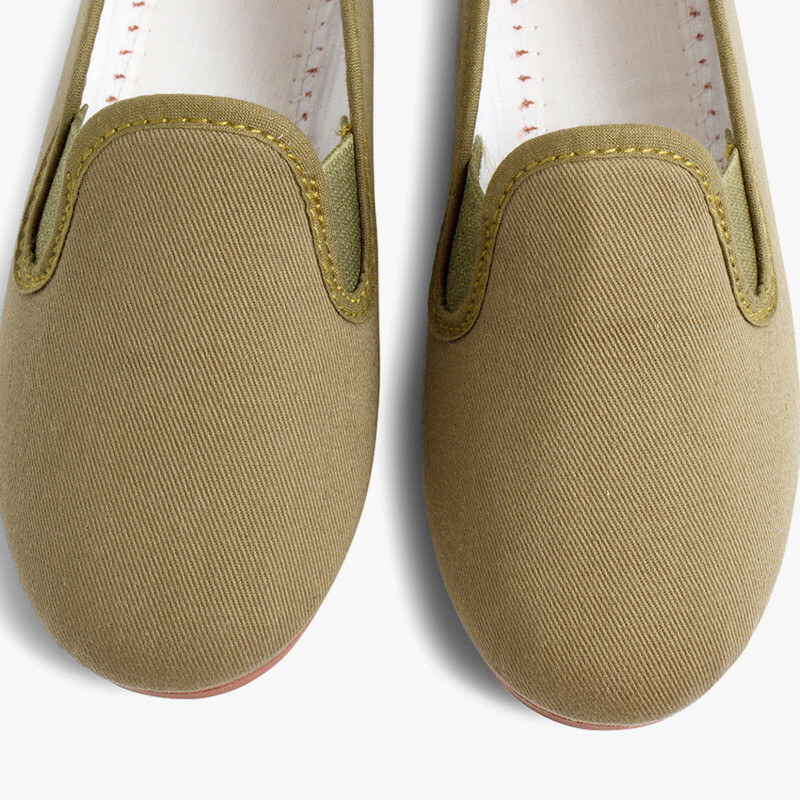 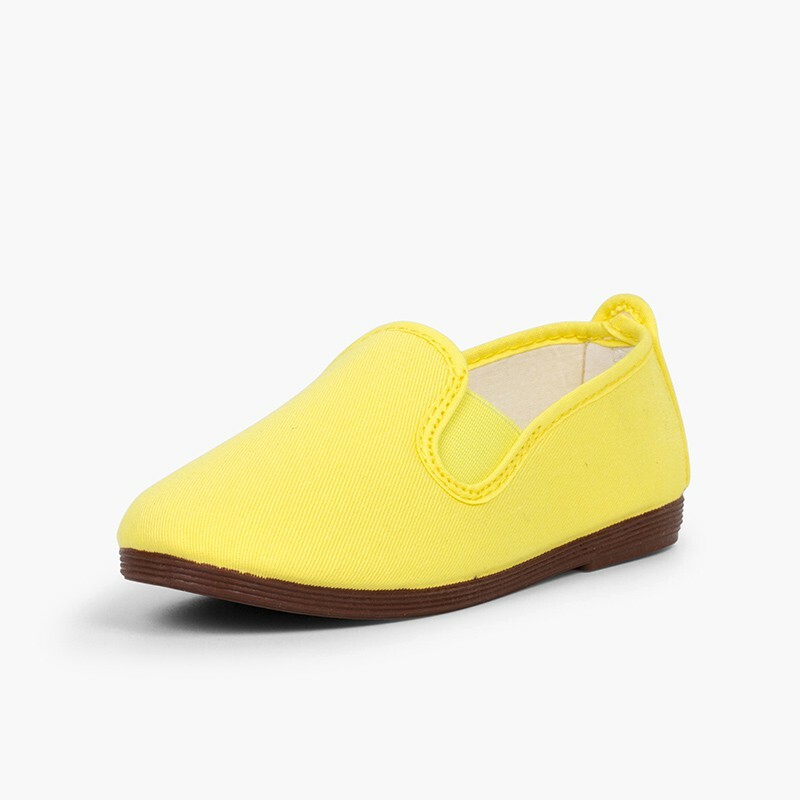 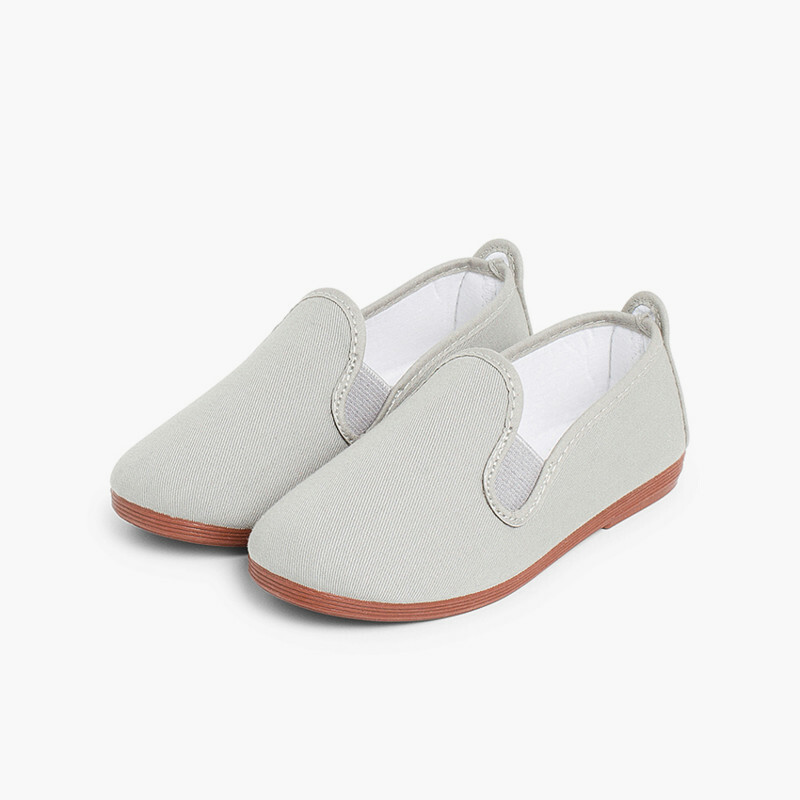 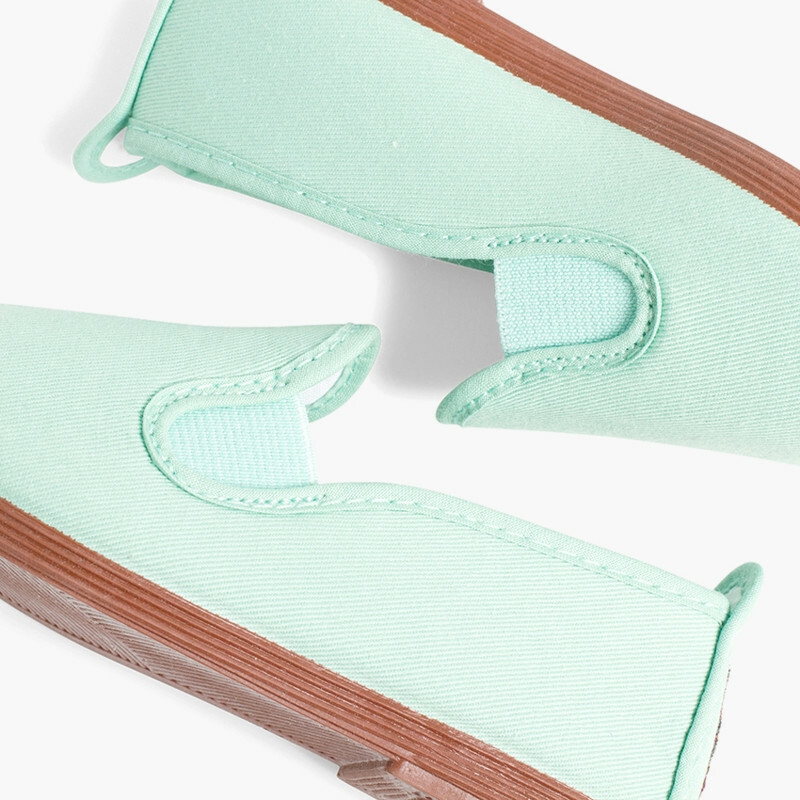 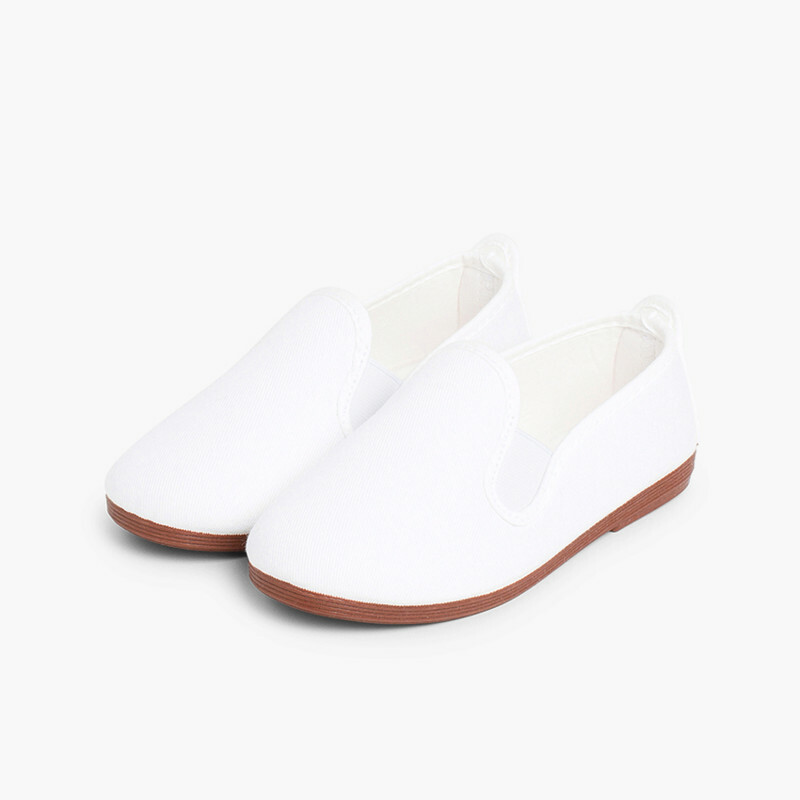 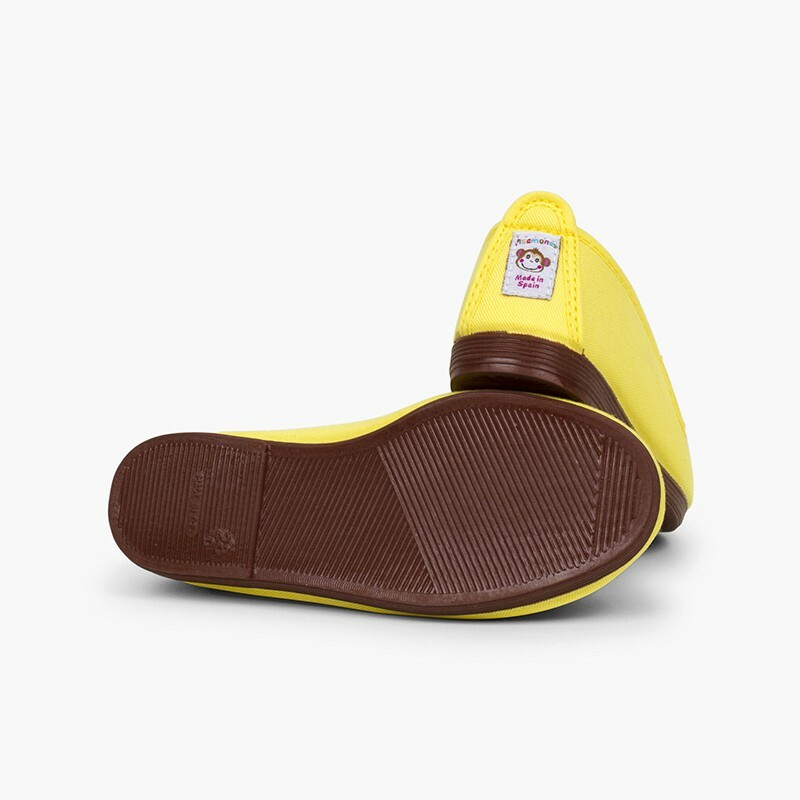 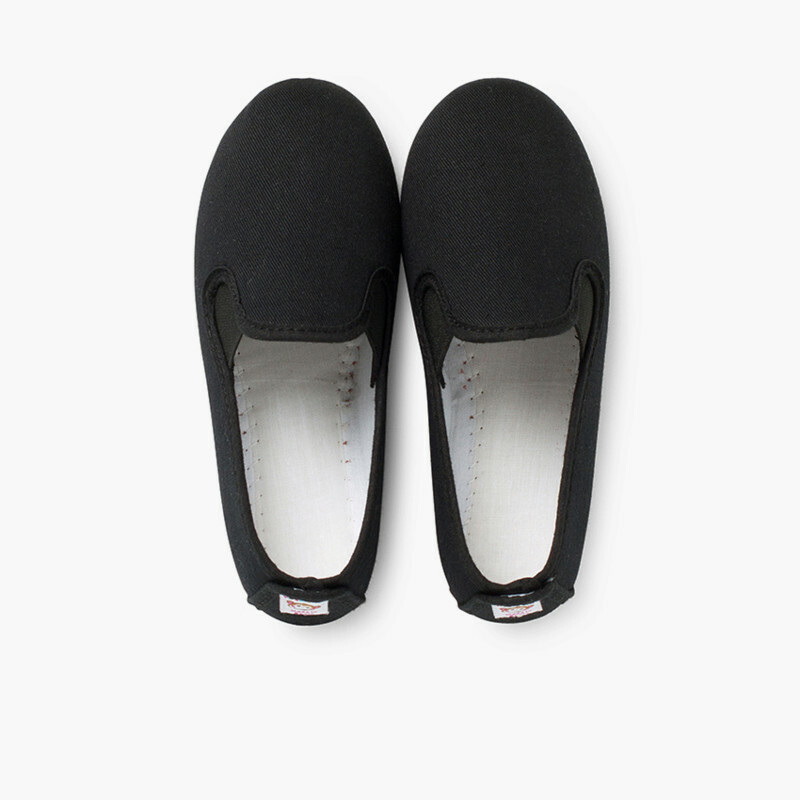 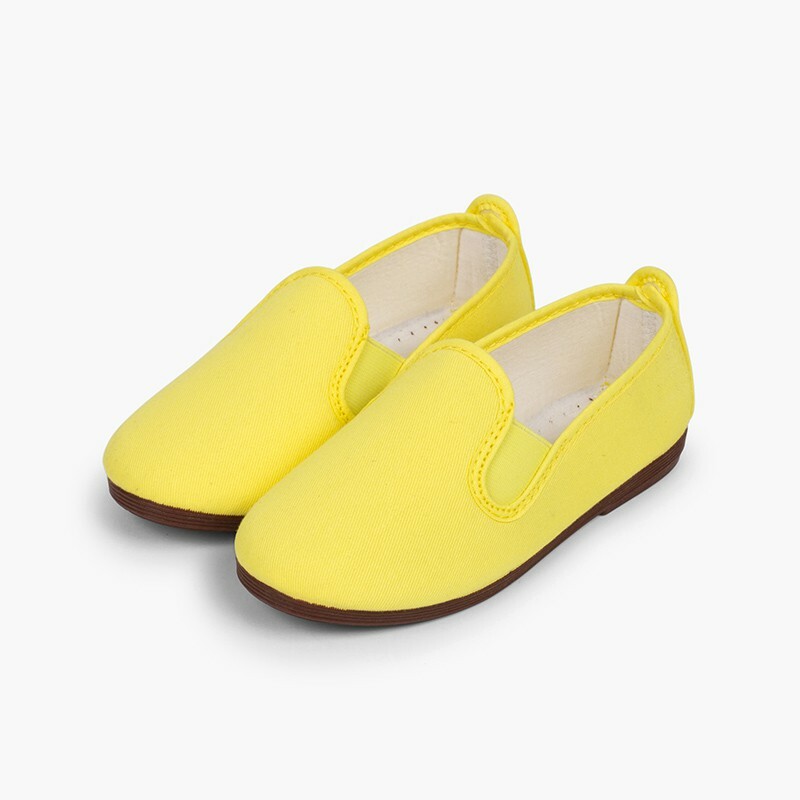 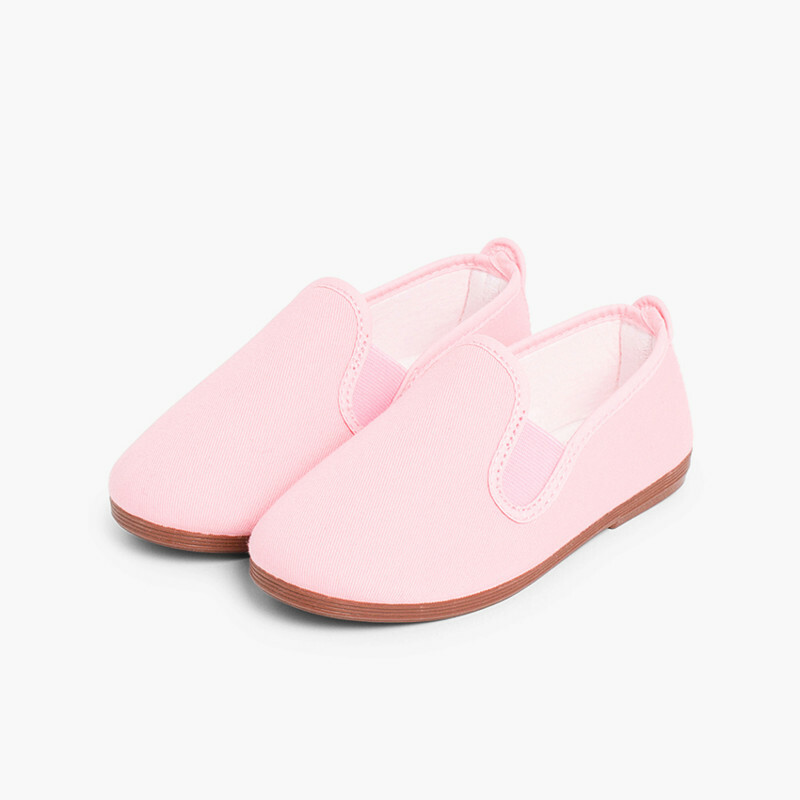 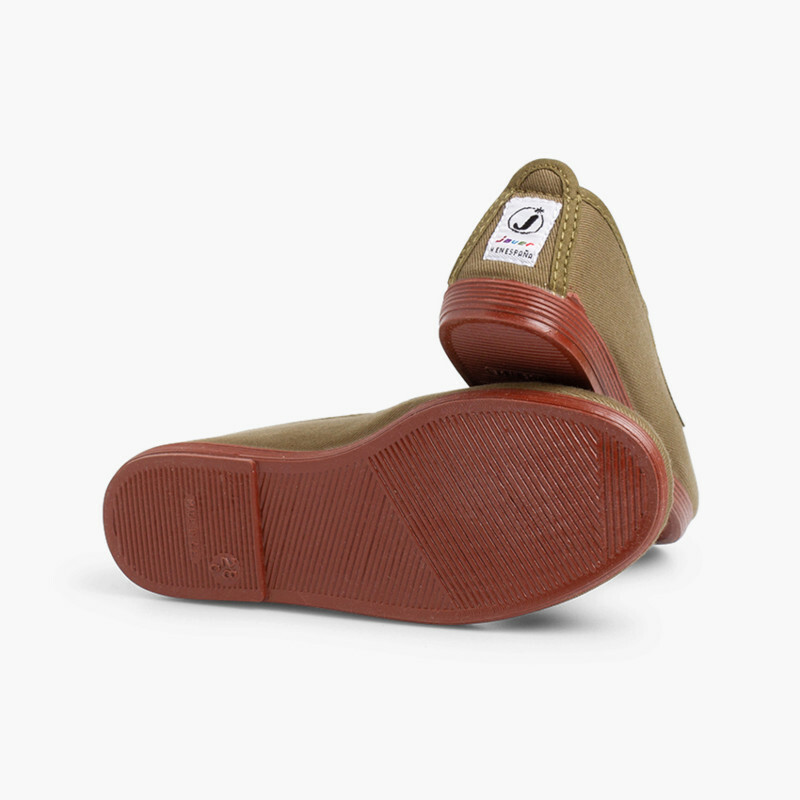 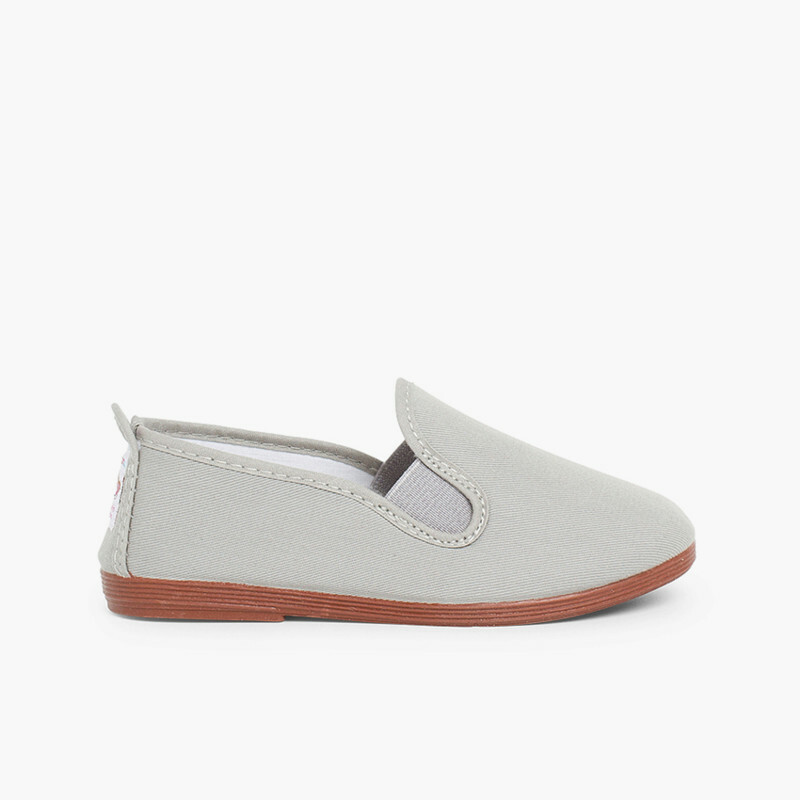 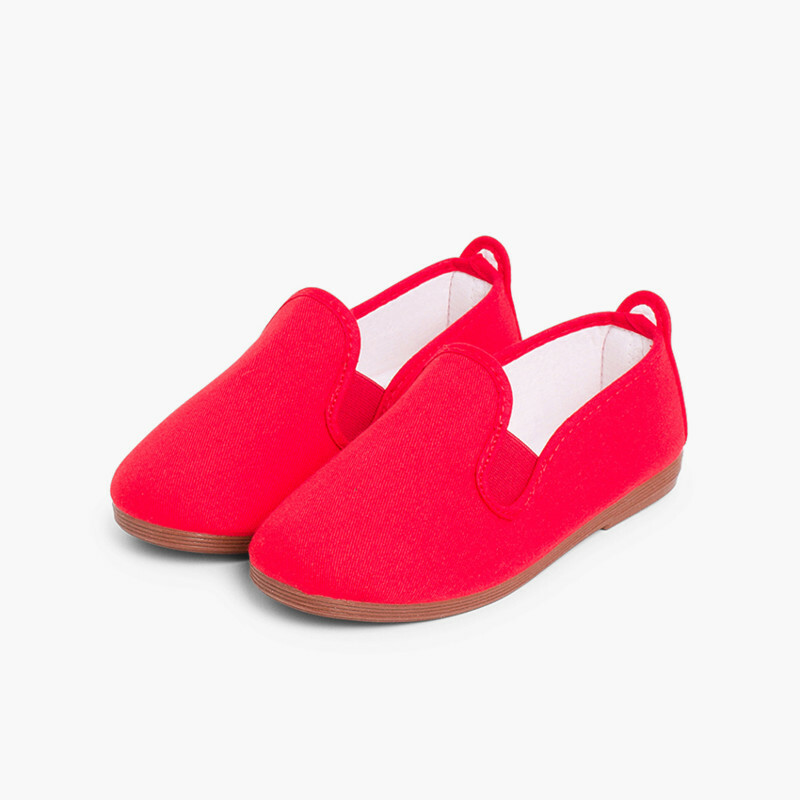 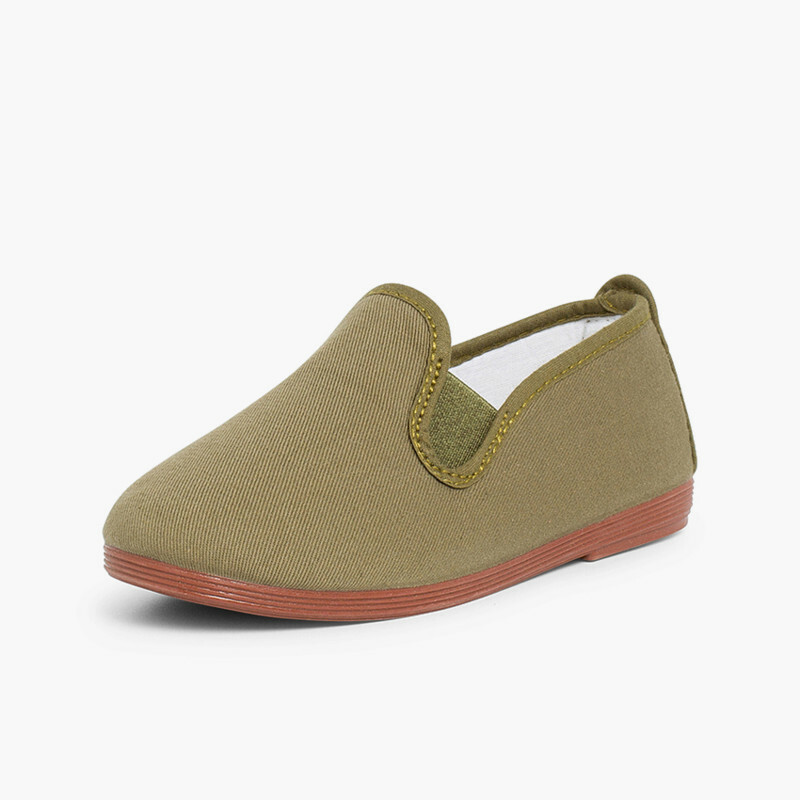 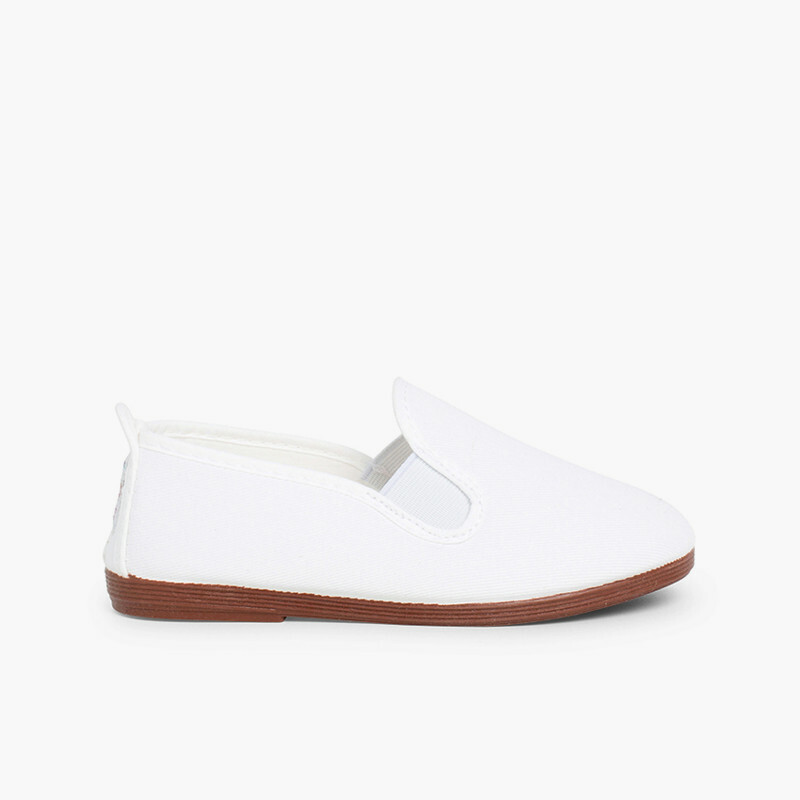 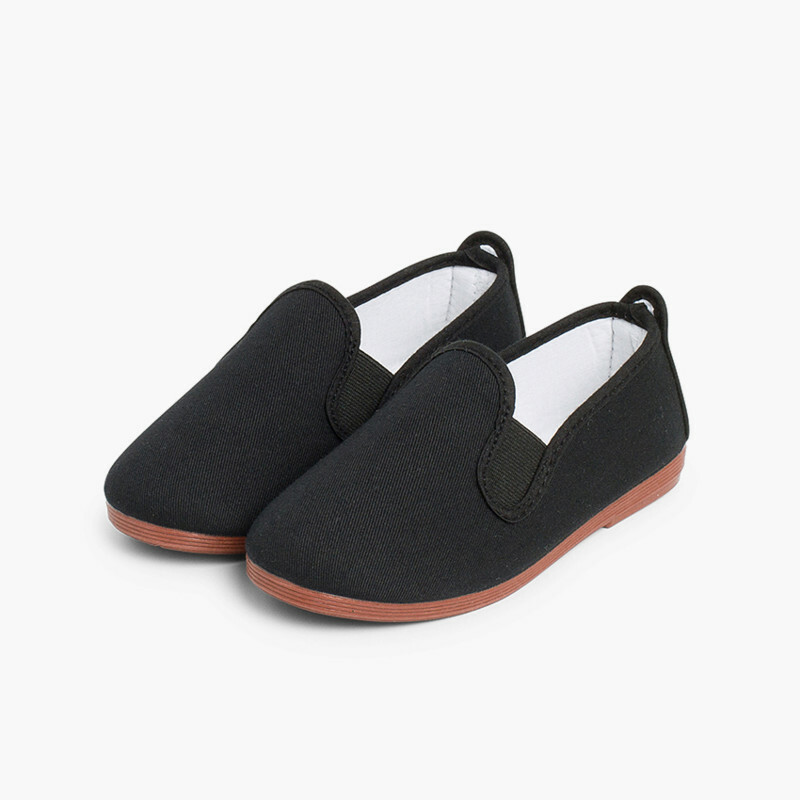 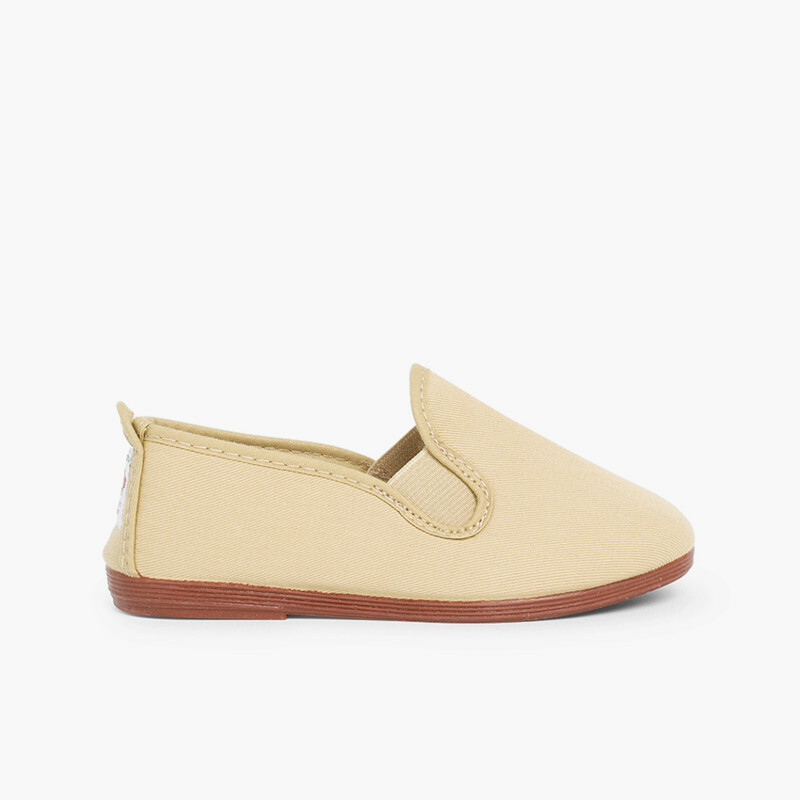 Traditional canvas slip on plimsoll, also known as kung fu shaolin slippers or pumps, light, with canvas upper and slightly padded, and of course, manufactured in Spain by Javer brand just as all our Pisamonas footwear. 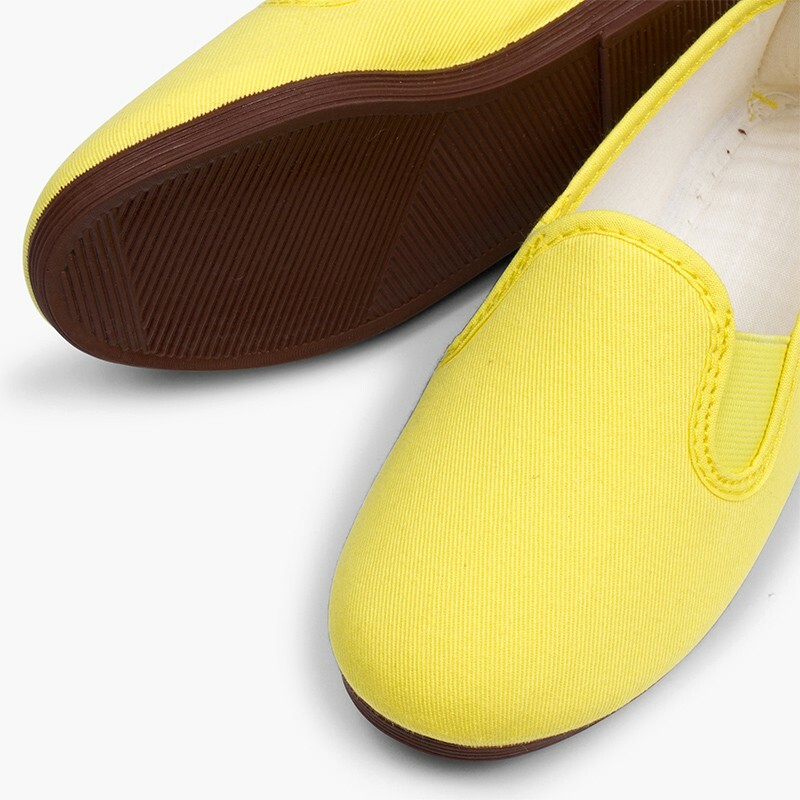 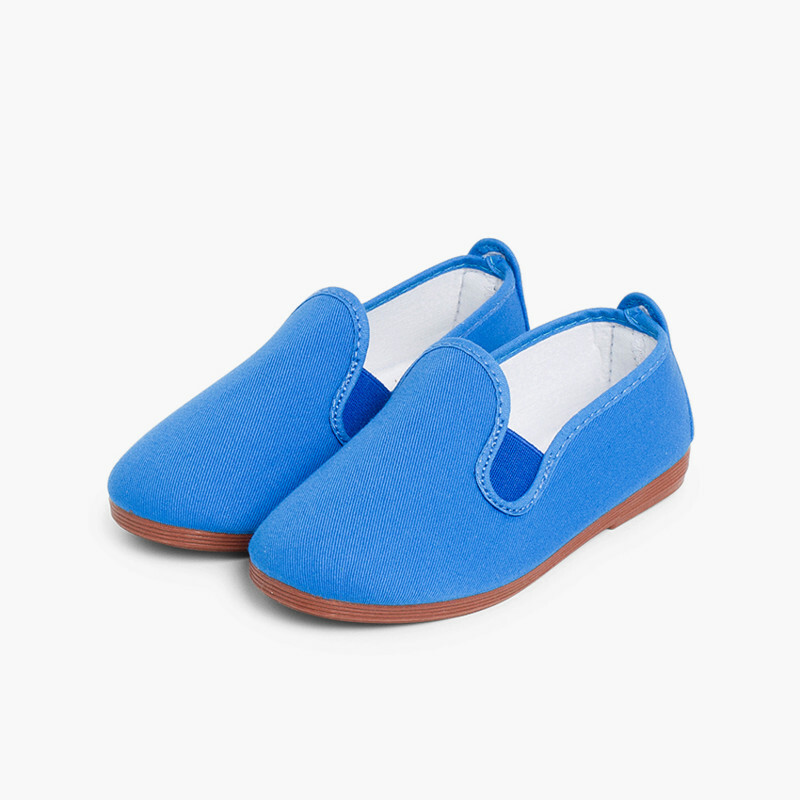 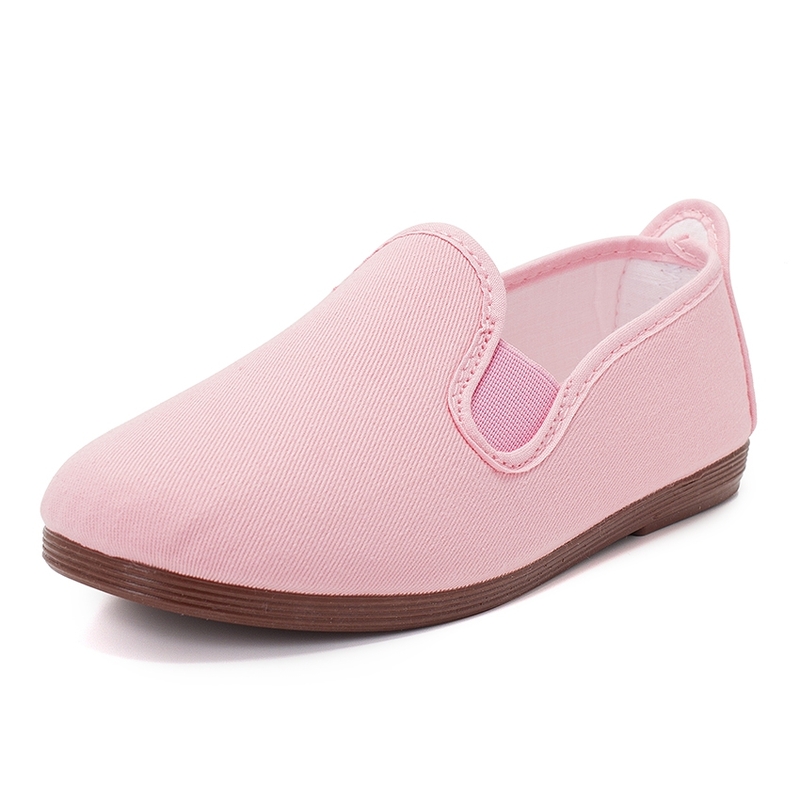 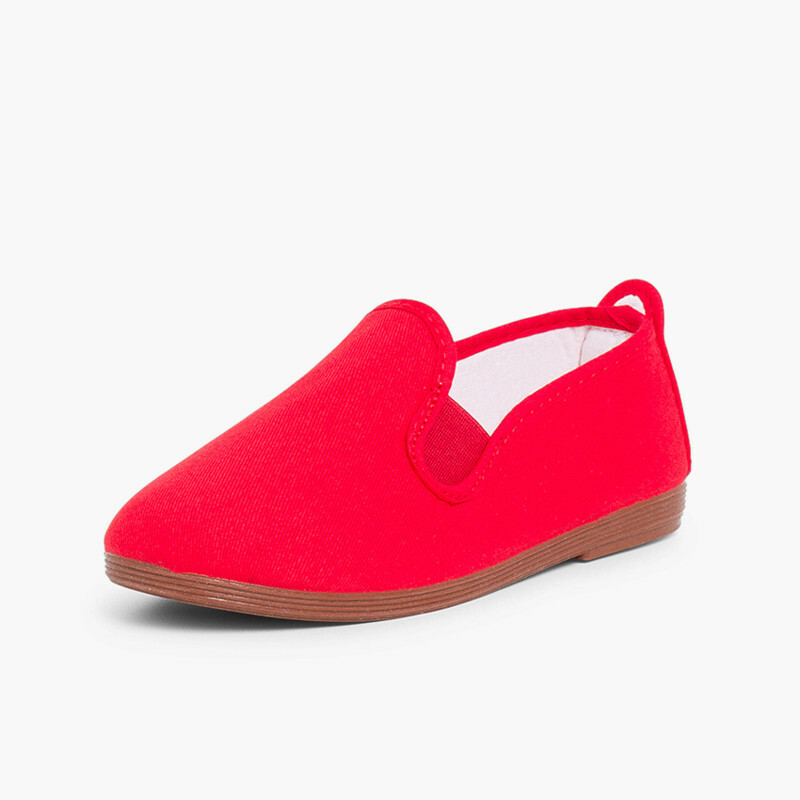 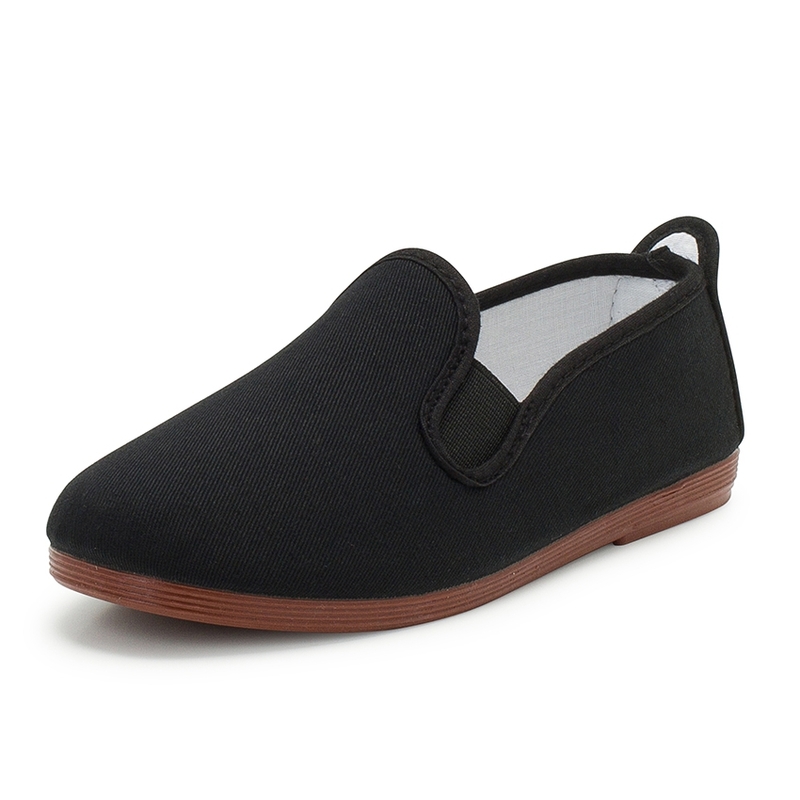 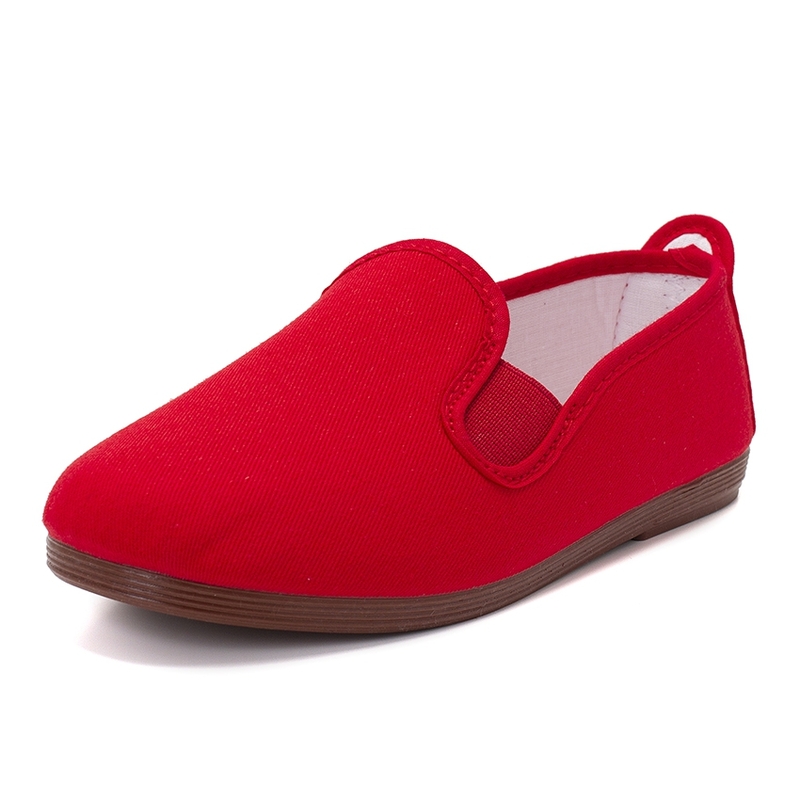 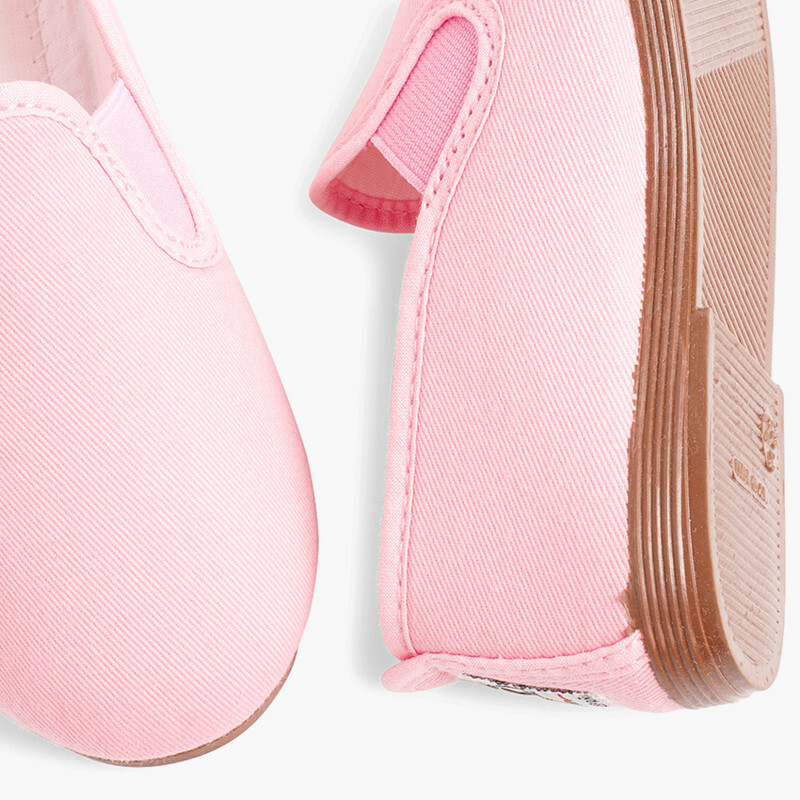 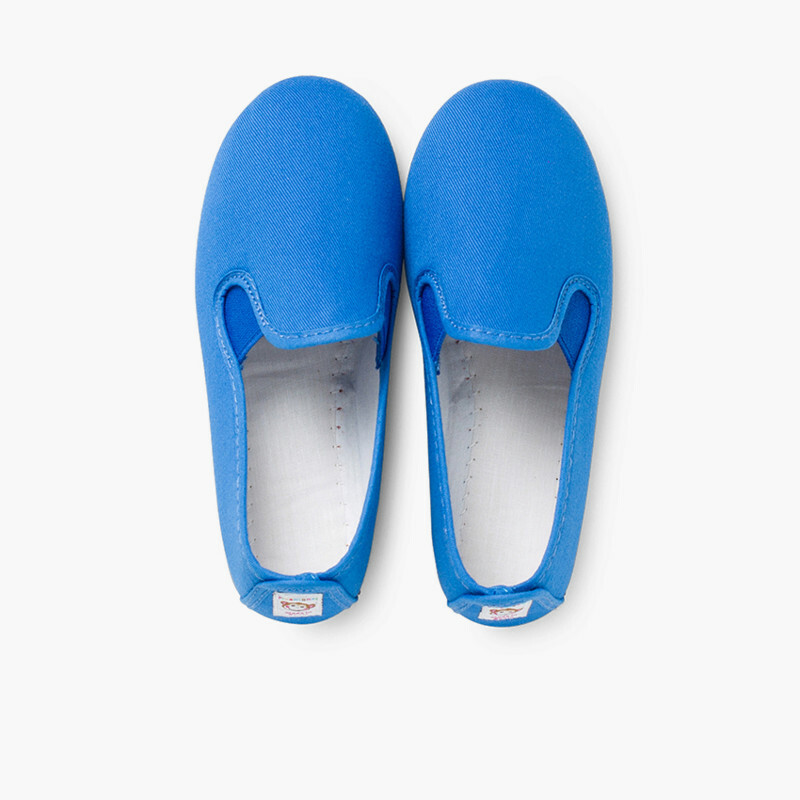 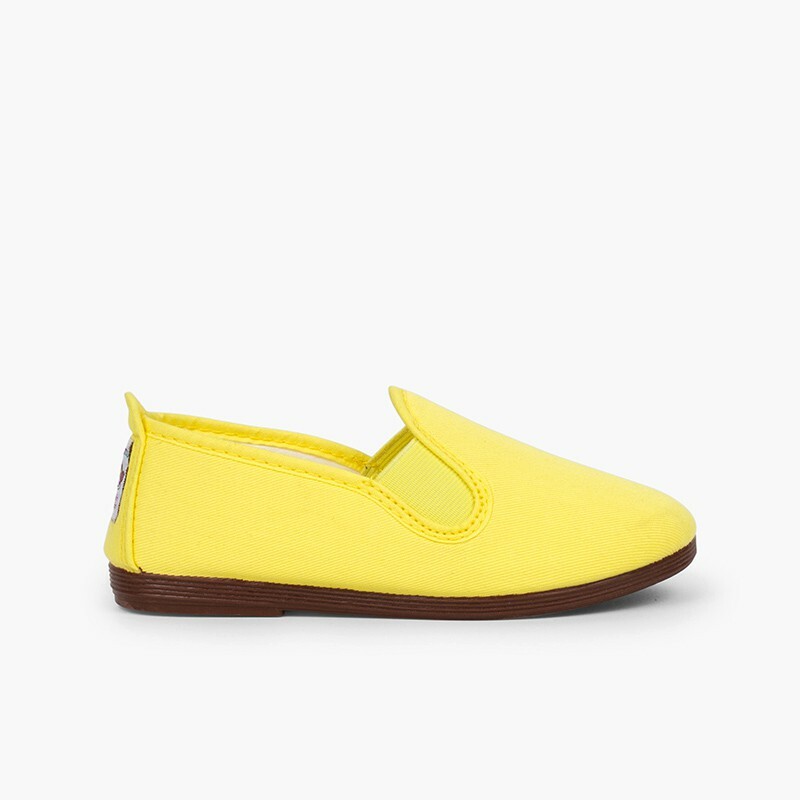 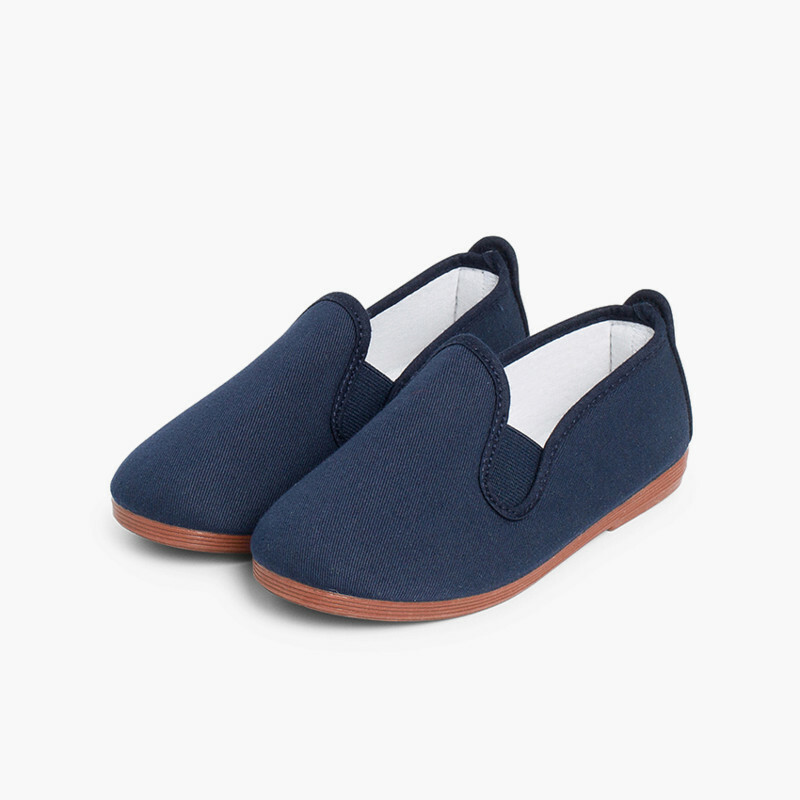 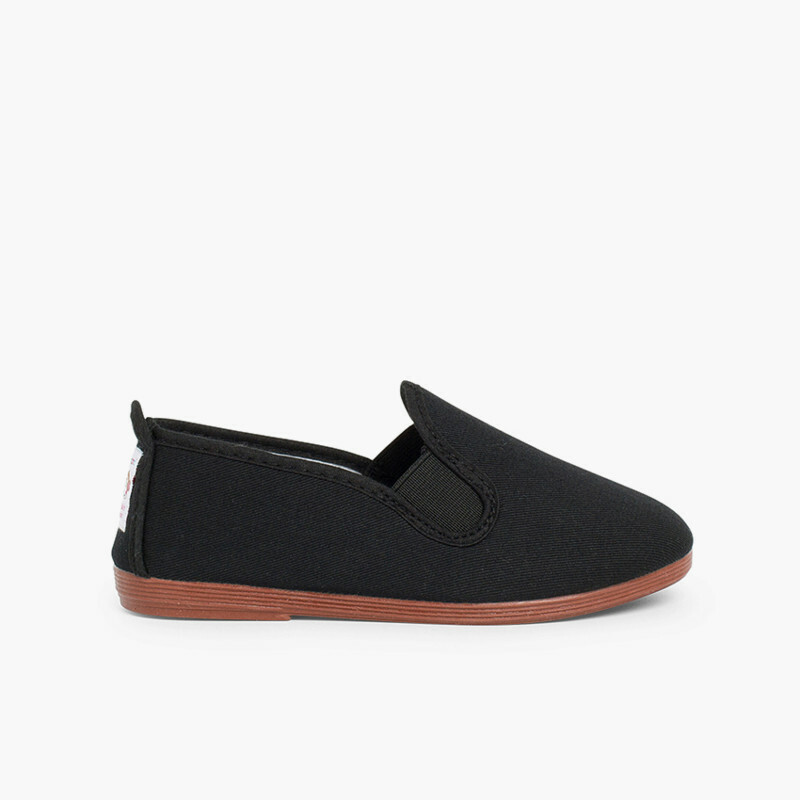 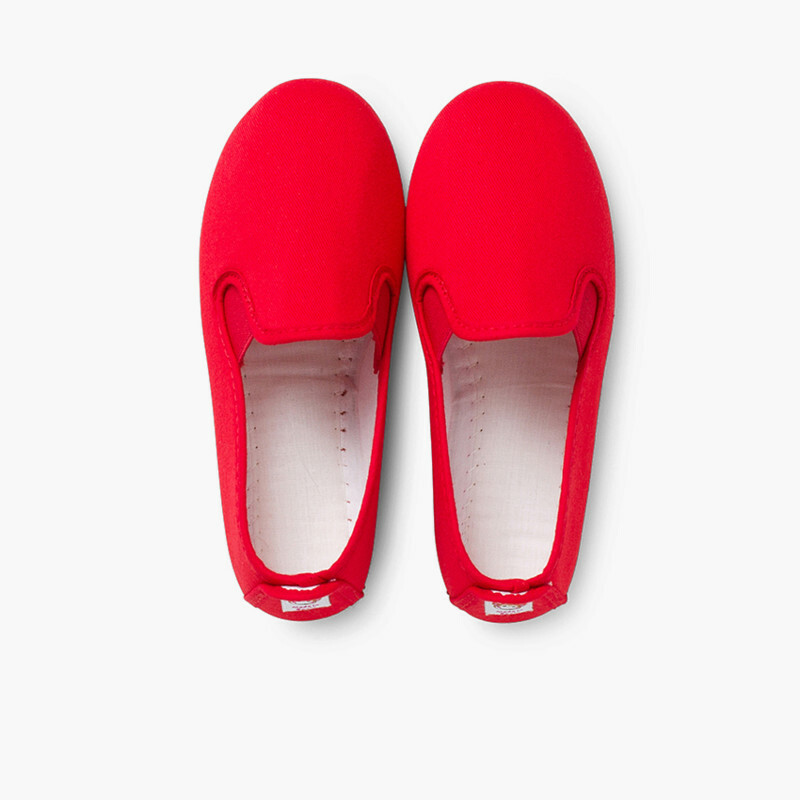 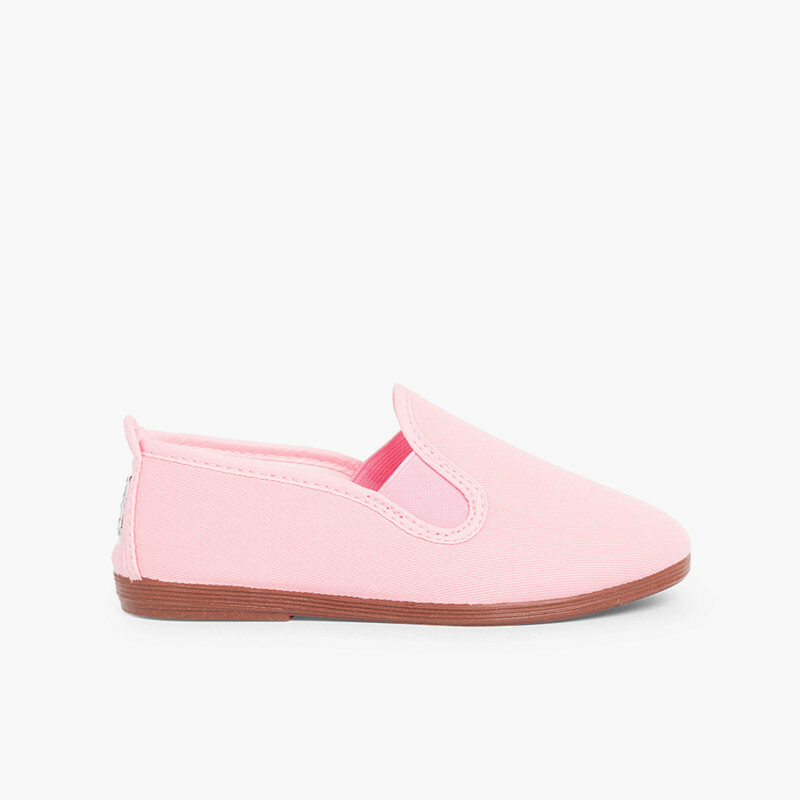 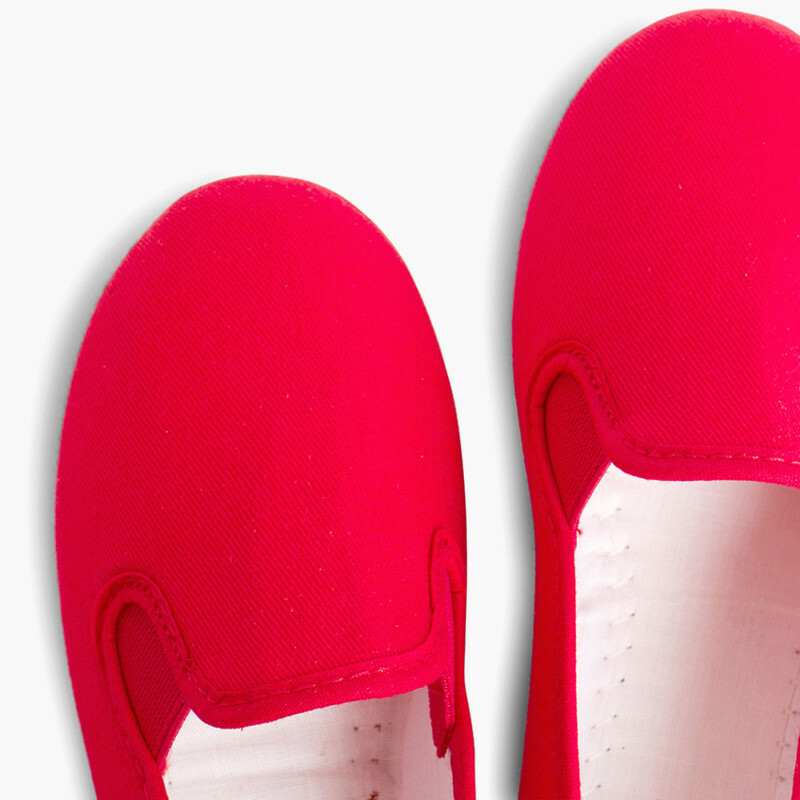 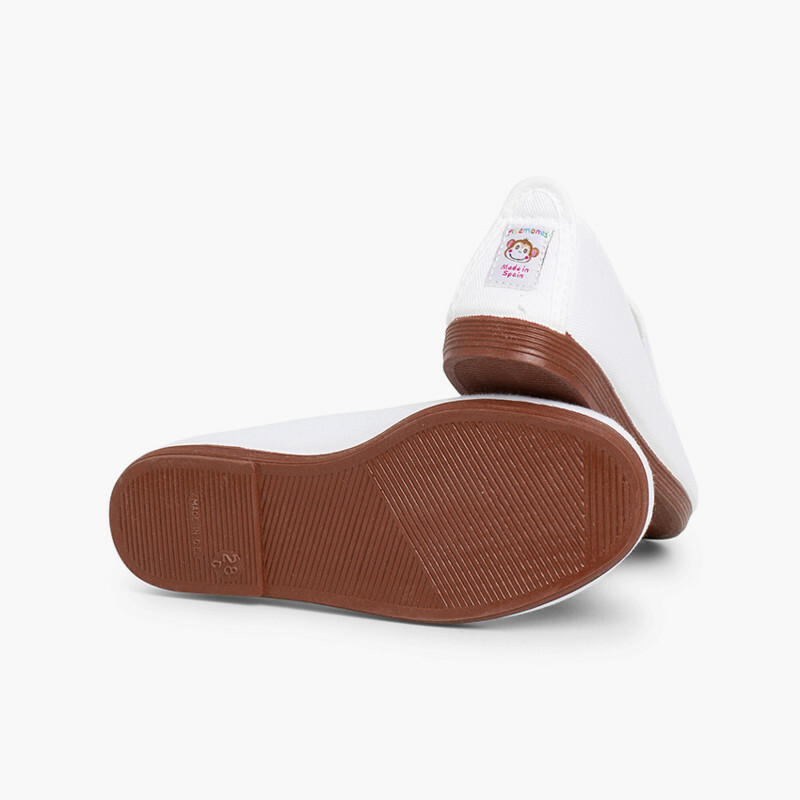 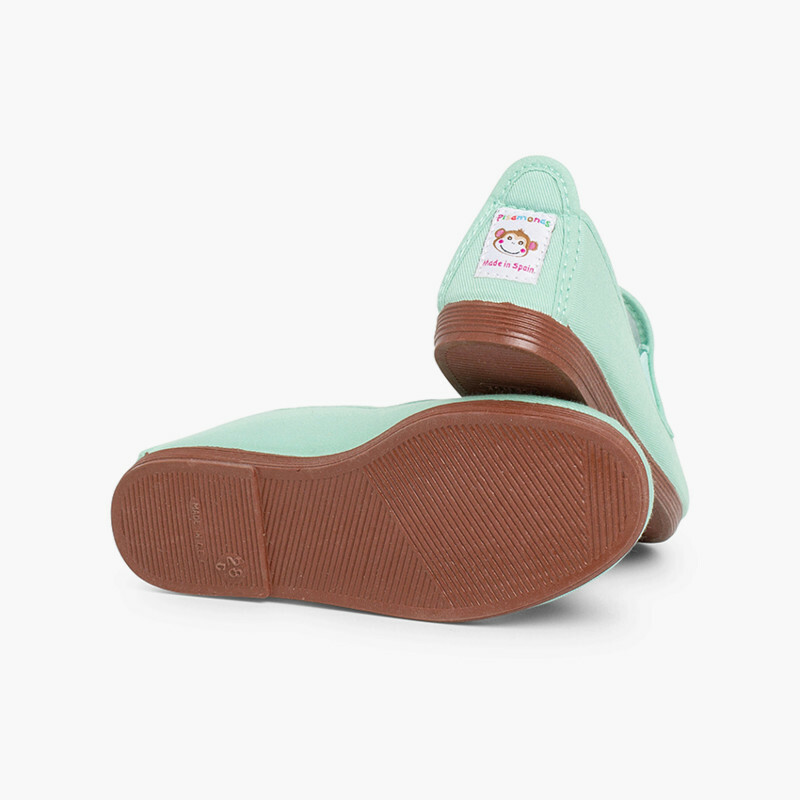 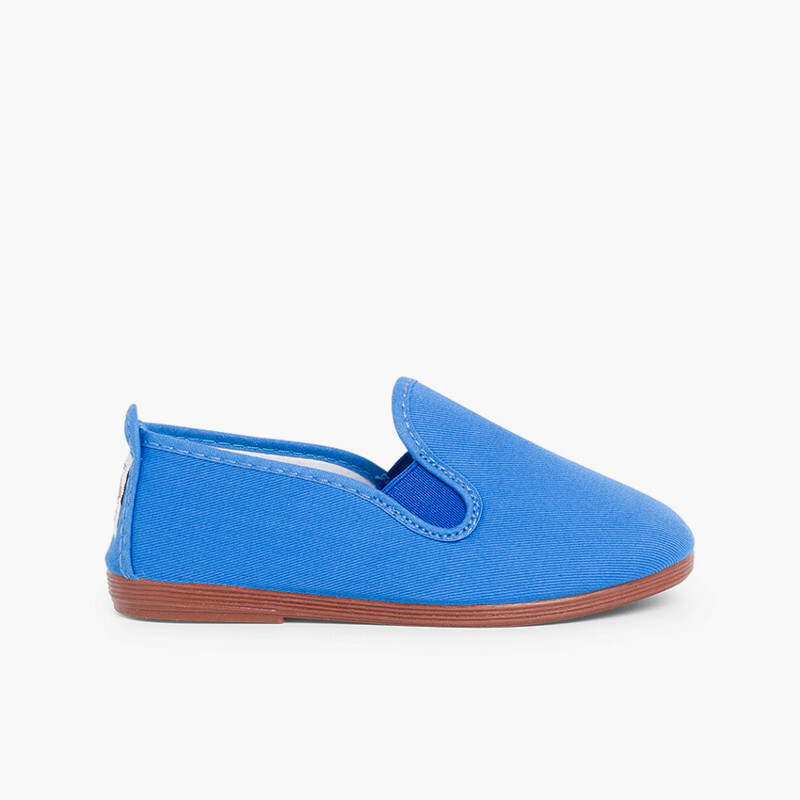 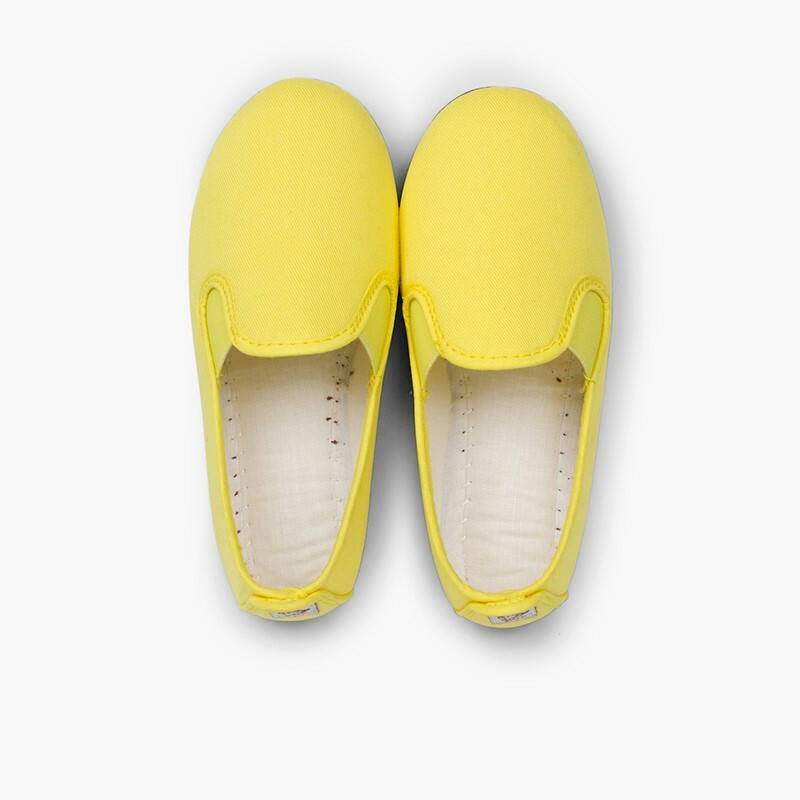 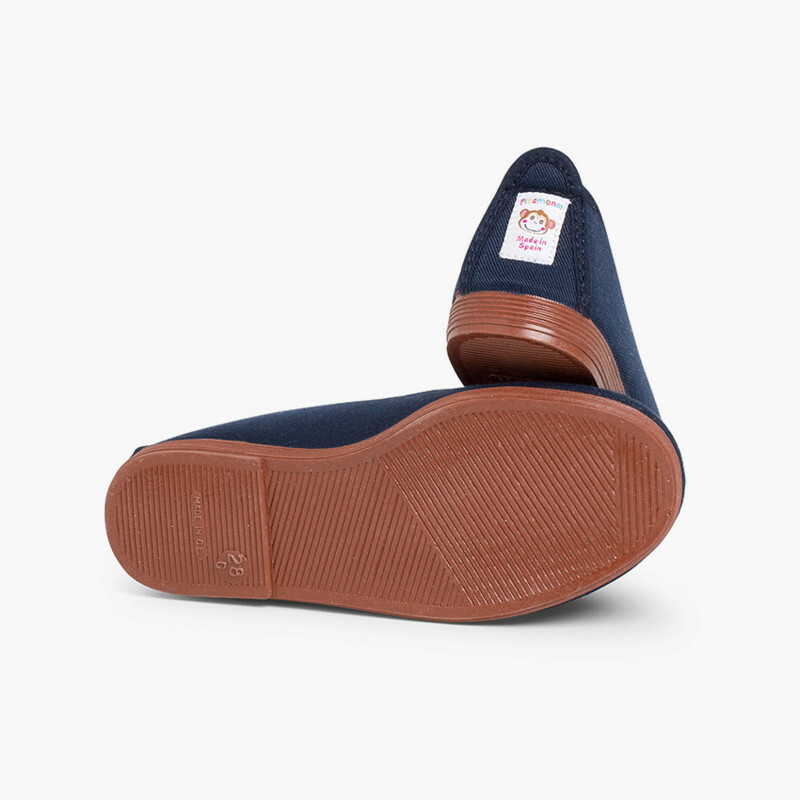 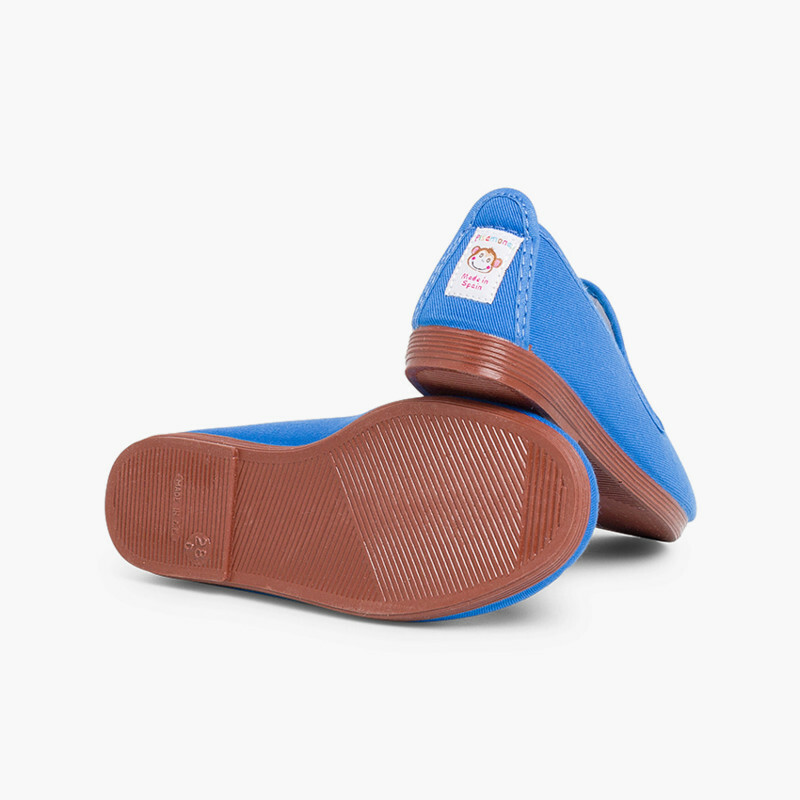 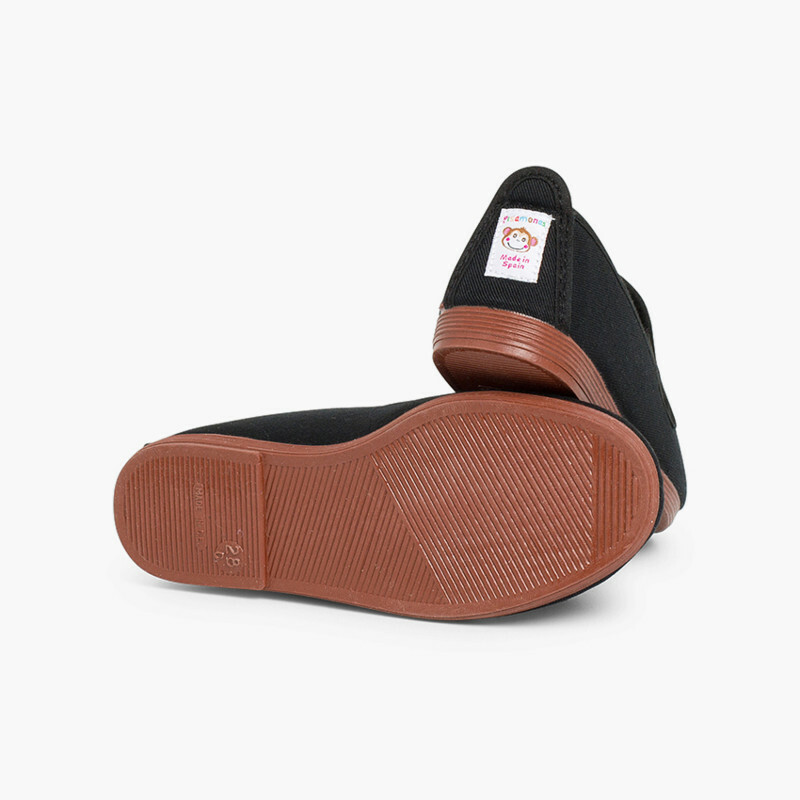 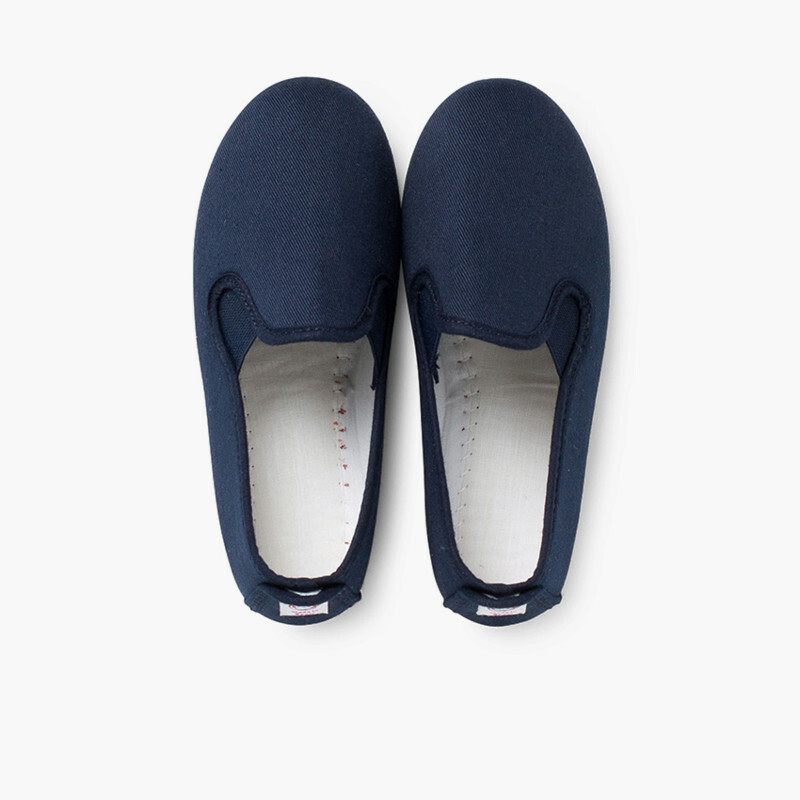 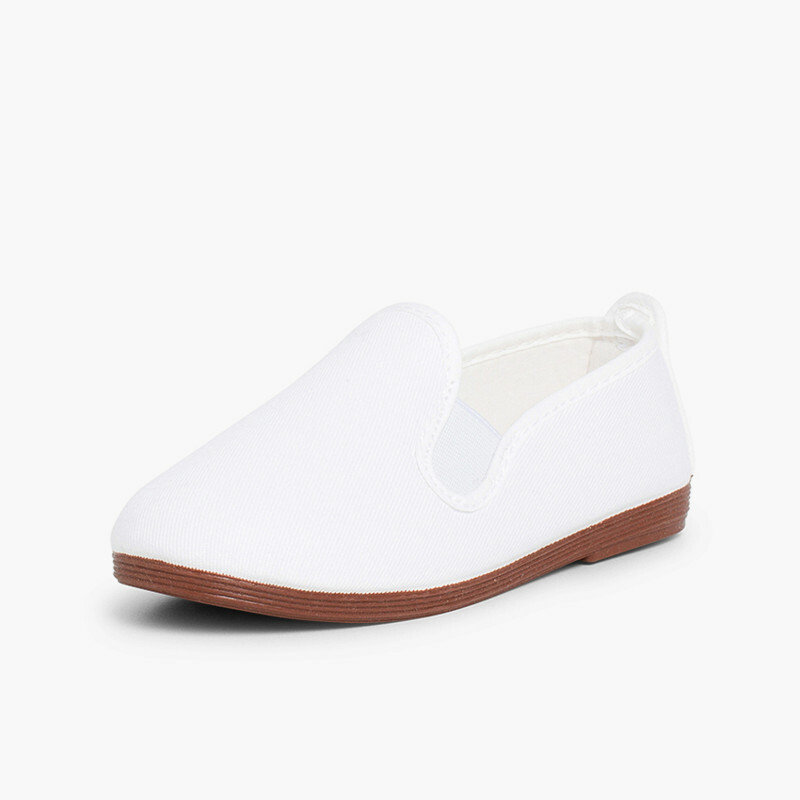 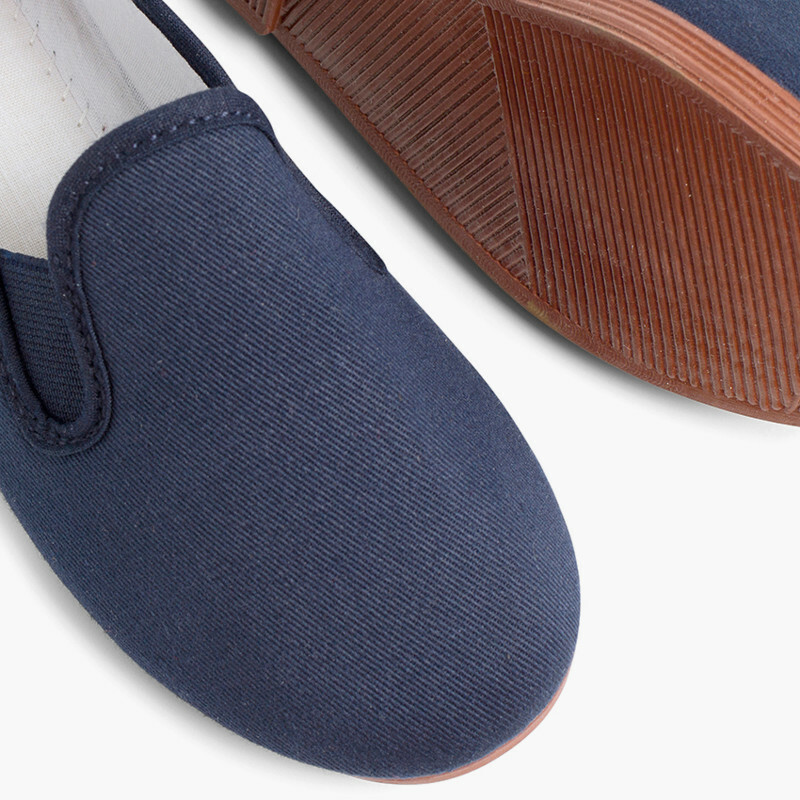 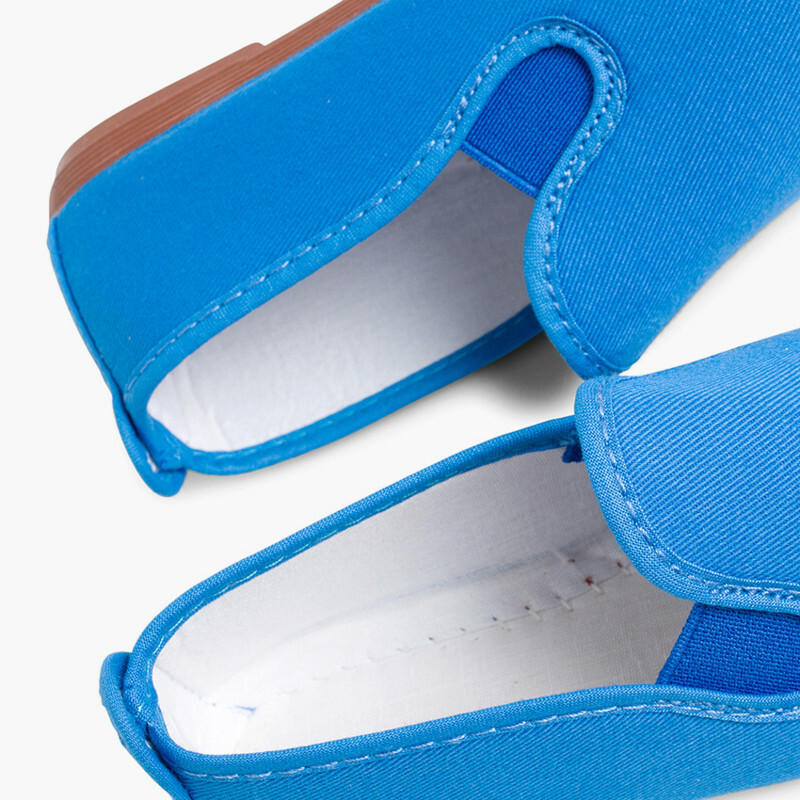 Really comfortable and with anti-slip soles, thin and elastic, this flossy type plimsolls are ideal for casual looks in Summer, holidays, indoor sports, camps, end of term performances, as slippers and for many other casual uses. 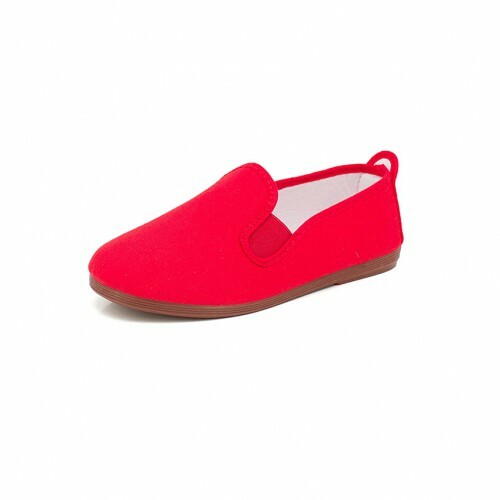 For PE in the gym, for after-school dance classes, to go with their sports clothes, or just for wearing them about the house! 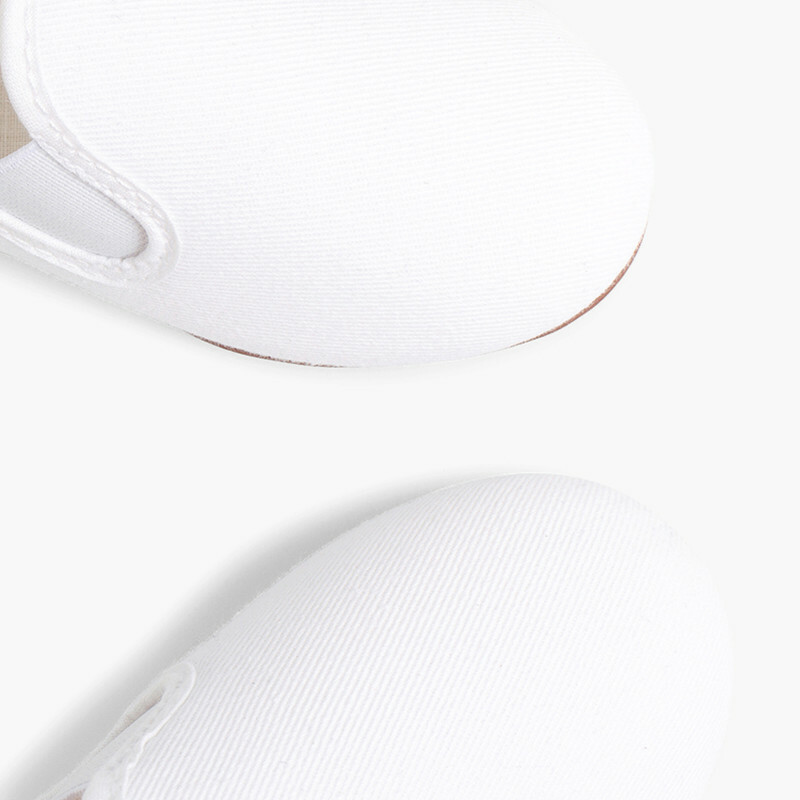 The best way is to hand wash them with cold water, rubbing marks with a small brush. 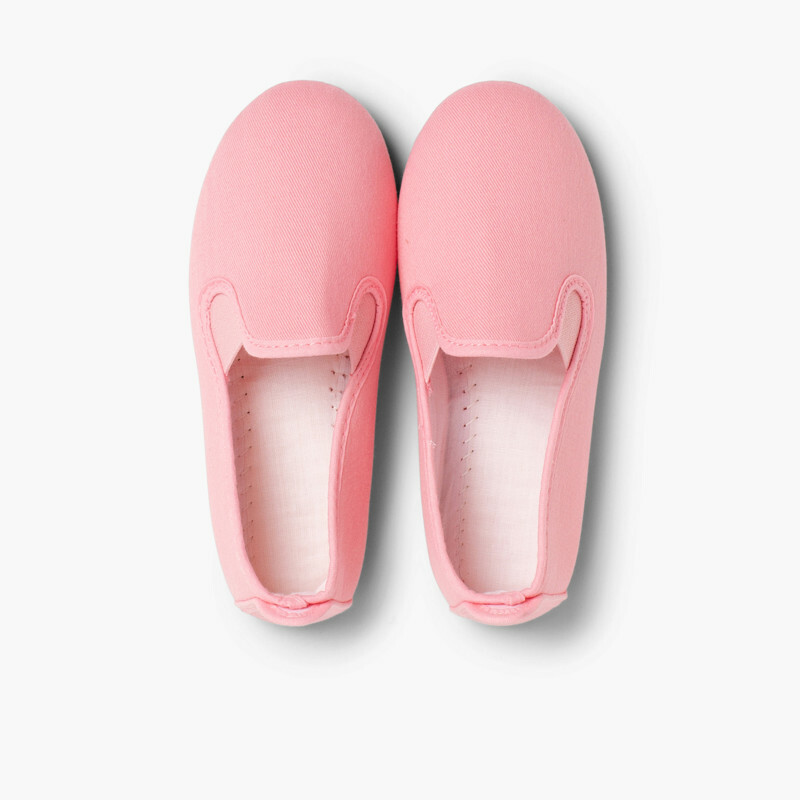 You can also put them in the washing machine, but just don’t leave them to dry in the sun!